(for a more detailed map, see Cities and towns during the Syrian Civil War). Map above was last updated on December 9, 2015.
a Some of the rebels that have been armed by the United States have given vehicles and ammunition to the al-Nusra Front. The Syrian Civil War (Arabic: الحرب الأهلية السورية‎) is an ongoing multisided armed conflict with international interventions taking place in Syria. The unrest began in the early spring of 2011 within the context of Arab Spring protests, with nationwide protests against President Bashar al-Assad‘s government, whose forces responded with violent crackdowns. The conflict gradually morphed from prominent protests to an armed rebellion after months of military sieges. The Syrian government initially primarily relied on its armed forces, but since 2014 local protection units made up of volunteers known as National Defence Forcehave come to play a larger role, gradually becoming the primary military force of the Syrian state. From the early stages, the Syrian government received technical, financial, military and political support from Russia, Iran and Iraq. In 2013, Iran-backed Hezbollah entered the war in support of the Syrian Army. Due toforeign involvement, the conflict had been called a proxy war between the regional powers. In September 2015, Russia, Iraq, Iran and Syria set up a joint operation room (information centre) in Baghdad to coordinate their activity in Syria. On 30 September 2015, Russia started its own air campaign on the side and at the request of the government of Syria. The resultant proxy war between the U.S. and Russia led some commentators to characterise the situation as a “a proto-world war with nearly a dozen countries embroiled in two overlapping conflicts”. In July 2013, the Syrian government was said to be in control of approximately 30–40% of the country’s territory and 60% of the Syrian population; in August 2015, the territory fully controlled by the Syrian Army was reported to have shrunk to 29,797 km2, roughly 16% of the country.The Syrian government enjoys high levels of support in certain areas under its control; according to a poll organised by British ORB International, up to 73% of the population in government-controlled areas support the government effort. A United Nations report in late 2012 described the conflict as being “overtlysectarian in nature“, between mostly Alawite government forces, militias and other Shia groups fighting largely against Sunni-dominated rebel groups, although both opposition and government forces have denied this. As of January 2015, the death toll had risen above 220,000 with estimates in April 2015 as high as 310,000. The majority of casualties are Syrian soldiers and popular resistance fighters, followed by Islamist fighters, the two groups together making up to as much as 90 percent of all casualties. International organizations have accused the Syrian government, ISIL and other opposition forces of severe human rights violations, with many massacres occurring. Chemical weapons have been used many times during the conflict as well. The Syrian opposition blames the government for the majority of thewar crimes and civilian casualties, often through bombings. In addition, tens of thousands of protesters and activists have been imprisoned and there are reports of torture in state prisons. Rebels have committed various crimes and have on multiple occasions called for genocide and ethnic cleansing of Christians, Alawites, Shiite, Druze and other minorities. The severity of the humanitarian disaster in Syria has been outlined by the UN and many international organizations. More than 7.6 million Syrians have been internally displaced, more than 5 million have fled to nearby countries such asTurkey, Lebanon, Jordan, Iraq, Egypt, andKuwait, and a few hundred thousand havefled to the European Union becoming refugees. Millions more have been left in poor living conditions with shortages of food and drinking water. the Minister of Defense, seized power in the “corrective movement” in November 1970, becoming Prime Minister. In March 1971, Hafez Assad declared himselfPresident, a position that he held until his death in 2000. Since then, the secular Syrian Regional Branch has remained the dominant political authority in what was virtually a single-party state in Syria; Syrian citizens could only approve the president by referendum and – until the government-controlled multi-party 2012 parliamentary election – could not vote in multi-party elections for the legislature. a Sunni Muslim born and educated in Britain, initially inspired hopes for democratic and state reforms. A “Damascus Spring” of intense social and political debate took place between July 2000 and August 2001. The period was characterized by the emergence of numerous political forums or salons, where groups of like-minded people met in private houses to debate political and social issues, and political activists such as Riad Seif, Haitham al-Maleh,Kamal al-Labwani, Riyad al-Turk and Aref Dalila emerged. The Riad Seif Forum and the Jamal al-Atassi Forum were the most famous of these salons. The Damascus Spring largely ended in August 2001 with the arrest and imprisonment of ten leading activists who had called for democratic elections and a campaign of civil disobedience. After 2001 even reformists in Parliament began to criticize the legacy of stagnation since the rule of Hafez al-Assad; Bashar al-Assad spoke about reform but carried out very little, and according to analysts he failed to deliver on promised reforms. and his brother-in-law, Assef Shawkat, was the deputy minister of defense until the his assassination in the 18 July 2012 Damascus bombing. 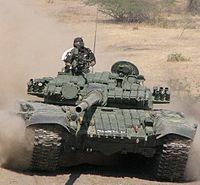 T-72s, usually reinforced with Reactive armour, form the backbone of the division’s firepower. Discontent against the government was strongest in Syria’s poor areas, predominantly among conservative Sunnis. These included cities with high poverty rates, such as Daraa andHoms and the poorer districts of large cities. Socio-economic inequality increased significantly after free market policies were initiated by Hafez al-Assad in his later years, and accelerated after Bashar al-Assad came to power. With an emphasis on the service sector, these policies benefited a minority of the nation’s population, mostly people who had connections with the government, and members of the Sunni merchant class of Damascus and Aleppo. The country also faced particularly high youth unemployment rates. This coincided with the most intense drought ever recorded in Syria which lasted from 2007 to 2010 and that resulted in a widespread crop failure, increase in food prices and a mass migration of farming families to urban centers. Syria had also received in the same period around 1.5 million refugees from Iraq. By 2011, Syria was facing steep rises in the prices of commodities and a clear deterioration in the national standard of living. The state of human rights in Syria has long been the subject of harsh criticism from global organizations. The country was under emergency rule from 1963 until 2011, banning public gatherings of more than five people, and effectively granting security forces sweeping powers of arrest and detention. Bashar al-Assad is widely regarded as having been unsuccessful in implementing democratic change, with a 2010 report from Human Rights Watch stating that he had failed to substantially improve the state of human rights since taking power, although some minor aspects had seen improvement. Rights of free expression, association and assembly were strictly controlled in Syria even before the uprising. The authorities harass and imprison human rights activists and other critics of the government, who are often indefinitely detained and tortured in poor prison conditions. Women and ethnic minorities have faced discrimination in the public sector. Thousands of Syrian Kurdswere denied citizenship in 1962 and their descendants continued to be labeled as “foreigners”.A number of riots in 2004 prompted increased tension in Syria’s Kurdish areas, and there have been occasional clashes between Kurdish protesters and security forces ever since. The protests started on 15 March 2011, when protesters marched in the capital of Damascus, demanding democratic reforms and the release of political prisoners. The security forces retaliated by opening fire on the protesters, and according to witnesses who spoke to the BBC, the government forces detained six of them. The protest was triggered by the arrest of a boy and his friends by the government for writing the graffiti, “The people want the fall of the regime”, in the city of Daraa. Louai al-Hussein, an analyst and writer wrote that “Syria is now on the map of countries in the region with an uprising”. On the 20th, the protesters burned down a Ba’ath Party headquarters and “other buildings”. The ensuing clashes claimed the lives of seven police officers and 15 protesters. Ten days later in a speech, President Bashar al-Assad blamed “foreign conspirators” pushing Israeli propaganda for the protests. The protesters’ demands until 7 April were predominantly democratic reforms, release of political prisoners, more freedom, abolition of the emergency law and an end to corruption. After 8 April, the emphasis in demonstration slogans gradually shifted towards the call for overthrowing the Assad government. Protests spread: on Friday 8 April, they occurred simultaneously in ten cities. By Friday 22 April protests occurred in twenty cities. On 25 April, the Syrian Armystarted a series of large-scale deadly military attacks on towns, using tanks, infantry carriers, and artillery, leading to hundreds of civilian deaths. By the end of May 2011, 1,000 civilians and 150 soldiers and policemen had been killed and thousands detained; among the arrested were many students, liberal activists and human rights advocates. Significant armed rebellion against the state began on 4 June in Jisr al-Shugur, a city in Idlib Governorate near the Turkish border, after security forces on a post office roof had fired at a funeral demonstration. Protesting mourners set fire to the building, killing eight security officers, and then overran a police station, seizing weapons from it. Violence continued and escalated over the following days. Unverified reports claim that a portion of the security forces in Jisr defected after secret police and intelligence officers executed soldiers who had refused to fire on civilians. Later, more protesters in Syria took up arms, and more soldiers defected to protect protesters. Both sides in the conflict use propaganda to promote their side and denigrate their opponents (see Reporting, censoring and propaganda in the Syrian Civil War). By the end of July 2011, around 1,600 civilians and 500 security forces had been killed and 13,000 arrested. On 29 July 2011, seven defecting Syrian officers formed the Free Syrian Army(FSA), composed of defected Syrian Armed Forces officers and soldiers, aiming “to bring this regime (the Assad government) down” with united opposition forces. On 31 July, a nationwide crackdown nicknamed the “Ramadan Massacre” resulted in the death of at least 142 people and hundreds of injuries. On 23 August, a coalition of anti-government groups was formed, the Syrian National Council. The group, based in Turkey, attempted to organize the opposition. However, the opposition, including the FSA, remained a fractious collection of political groups, longtime exiles, grass-roots organizers and armed militants, divided along ideological, ethnic and/or sectarian lines. Throughout August, Syrian forces stormed major urban centres and outlying regions, and continued to attack protests. On 14 August, the Siege of Latakiacontinued as the Syrian Navy became involved in the military crackdown for the first time. Gunboats fired heavy machine guns at waterfront districts in Latakia, as ground troops and security agents backed by armour stormed several neighbourhoods. The Eid ul-Fitr celebrations, which began at the end of August, were muted after security forces fired on protesters gathered in Homs, Daraa, and the suburbs of Damascus. By September 2011, organized units of Syrian rebels were engaged in an active insurgency campaign in many different parts of Syria. A major confrontation between the FSA and the Syrian armed forces occurred in Rastan. From 27 September to 1 October, Syrian government forces, backed by tanks and helicopters, led a major offensive on the town of Al-Rastan in Homs Governorate, in order to drive out army defectors. The 2011 battle of Rastan between the government forces and the FSA was the longest and most intense action up until that time. After a week of fighting, the FSA was forced to retreat from Rastan. To avoid government forces, the leader of the FSA, Colonel Riad Asaad, retreated to Turkey. Many of the rebels fled to the nearby city of Homs. By October, the FSA started to receive active support from Turkey, who allowed the rebel army to operate its command and headquartersfrom the country’s southern Hatay Province close to the Syrian border, and its field command from inside Syria. The FSA would often launch attacks into Syria’s northern towns and cities, while using the Turkish side of the border as a safe zone and supply route. A year after its formation, the FSA gained control over many towns close to the Turkish border. In October 2011, clashes between government and defected army units were being reported fairly regularly. During the first week of the month, sustainedclashes were reported in Jabal al-Zawiya in the mountainous regions of Idlib Governorate. Syrian rebels captured most of Idlib city as well. In mid-October, clashes in Idlib Governorate included the city of Binnish and the town of Hass in the governorate near the mountain range of Jabal al-Zawiya. In late October, clashes occurred in the northwestern town of Maarrat al-Nu’man between government forces and defected soldiers at a roadblock on the edge of the town, and near the Turkish border, where 10 security agents and a deserter were killed in a bus ambush. It was not clear if the defectors linked to these incidents were connected to the FSA. In early November, clashes between the FSA and security forces in Homs escalated as the siege continued. After six days of bombardment, the Syrian Army stormed the city on 8 November, leading to heavy street fighting in several neighborhoods. Resistance in Homs was significantly greater than that seen in other towns and cities, and some in opposition have referred to the city as the “Capital of the Revolution”. Unlike events in Deraa and Hama, operations in Homs have thus far failed to quell the unrest. November and December 2011 saw increasing rebel attacks, as opposition forces grew in number. In the two months, the FSA launched deadly attacks on an air force intelligence complex in the Damascus suburb of Harasta, the Ba’ath Syrian Regional Branch youth headquarters in Idlib Governorate, Syrian Regional Branch offices in Damascus, an airbase in Homs Governorate, and an intelligence building in Idlib. On 15 December, opposition fighters ambushed checkpoints and military bases around Daraa, killing 27 soldiers, in one of the largest attacks yet on security forces. The opposition suffered a major setback on 19 December, when a failed defection in Idlib Governorate lead to 72 defectors killed. In January 2012, Assad began using large-scale artillery operations against the insurgency, which led to the destruction of many civilian homes due to indiscriminate shelling.By this time, daily protests had dwindled, eclipsed by the spread of armed conflict. January saw intensified clashes around the suburbs of Damascus, with the Syrian Army use of tanks and artillery becoming common.Fighting in Zabadani began on 7 January when the Syrian Army stormed the town in an attempt to rout out FSA presence. After the first phase of the battle ended with a ceasefire on 18 January, leaving the FSA in control of the town, the FSA launched an offensive into nearby Douma. Fighting in the town lasted from 21 to 30 January, before the rebels were forced to retreat as result of a government counteroffensive. Although the Syrian Army managed to retake most of the suburbs, sporadic fighting continued. Fighting erupted in Rastan again on 29 January, when dozens of soldiers manning the town’s checkpoints defected and began opening fire on troops loyal to the government. Opposition forces gained complete control of the town and surrounding suburbs on 5 February. On 3 February, the Syrian Army launched a major offensive in Homs to retake rebel-held neighborhoods. In early March, after weeks of artillery bombardments and heavy street fighting, the Syrian Army eventually captured the district of Baba Amr, a major rebel stronghold. The Syrian Army also captured the district of Karm al-Zeitoun by 9 March, where activists said that government forces killed 47 women and children. By the end of March, the Syrian Army retook control of half a dozen districts, leaving them in control of 70 percent of the city. By 14 March, Syrian troops successfully ousted insurgents from the city of Idlib after days of fighting. By early April, the estimated death toll of the conflict, according to activists, reached 10,000. Kofi Annan was acting as UN–Arab League Joint Special Representative for Syria. His peace plan provided for a ceasefire, but even as the negotiations for it were being conducted, Syrian armed forces attacked a number of towns and villages, and summarily executed scores of people. Incommunicado detention, including of children, also continued. In April, Assad began employing attack helicoptersagainst rebel forces. On 12 April, both sides, the Syrian Government and rebels of the FSA entered a UN-mediated ceasefire period. It was a failure, with infractions of the ceasefire by both sides resulting in several dozen casualties. Acknowledging its failure, Annan called for Iran to be “part of the solution”, though the country has been excluded from the Friends of Syria initiative. The peace plan practically collapsed by early June and the UN mission was withdrawn from Syria. Annan officially resigned in frustration on 2 August 2012. Following the Houla massacre of 25 May 2012, in which 108 people were summarily executed and the consequent FSA ultimatum to the Syrian government, the ceasefire practically collapsed, as the FSA began nationwide offensives against government troops. On 1 June, President Assad vowed to crush the anti-government uprising. On 5 June, fighting broke out in Haffa and nearby villages in the coastal governorate of Latakia Governorate. Government forces were backed byhelicopter gunships in the heaviest clashes in the governorate since the revolt began. Syrian forces seized the territory following days of fighting and shelling. On 6 June 78 civilians were killed in the Al-Qubeir massacre. According to activist sources, government forces started by shelling the village before theShabiha militia moved in. The UN observers headed to Al-Qubeir in the hope of investigating the alleged massacre, but they were met with a roadblock and small arms fire and were forced to retreat. On 12 June 2012, the UN for the first time officially proclaimed Syria to be in a state of civil war. The conflict began moving into the two largest cities, Damascus and Aleppo. In both cities, peaceful protests – including a general strike by Damascus shopkeepers and a small strike in Aleppo were interpreted as indicating that the historical alliance between the government and the business establishment in the large cities had become weak. On 22 June, a Turkish F-4 fighter jet was shot down by Syrian government forces, killing both pilots. Syria and Turkey disputed whether the jet had been flying in Syrian or international airspace when it was shot down. Despite Turkish Prime Minister Recep Tayyip Erdoğan‘s vows to retaliate harshly against Assad’s government, no such intervention materialised. Bashar al-Assad publicly apologised for the incident. By 10 July, rebel forces had captured most of the city of Al-Qusayr, in Homs Governorate, after weeks of fighting. By mid-July, rebels had captured the town of Saraqeb, in Idlib Governorate. Wounded civilians arrive at a hospital in Aleppo, October 2012.
former defense minister Hasan Turkmani, and the president’s brother-in-law General Assef Shawkat were killed by asuicide bomb attack in Damascus. The Syrian intelligence chief Hisham Ikhtiyar, who was injured in the same explosion, later succumbed to his wounds. Both the FSA and Liwa al-Islam claimed responsibility for the assassination. In late July, government forces managed to break the rebel offensive on Damascus, although fighting still continued in the outskirts. After this, the focus shifted to the battle for control of Aleppo. On 25 July, multiple sources reported that the Assad government was using fighter jets to attack rebel positions in Aleppo and Damascus, and on 1 August, UN observers in Syria witnessed government fighter jets firing on rebels in Aleppo. In early August, the Syrian Army recaptured Salaheddin district, an important rebel stronghold in Aleppo. In August, the government began using fixed-wing warplanes against the rebels. On 19 July, Iraqi officials reported that the FSA had gained control of all four border checkpoints between Syria and Iraq, increasing concerns for the safety of Iraqis trying to escape the violence in Syria. On 19 September, rebel forces seized a border crossing between Syria and Turkey in Ar-Raqqah Governorate. It was speculated that this crossing could provide opposition forces with strategic and logistical advantages. In late September, the FSA moved its command headquarters from southern Turkey into northern Syria. On 9 October, rebel forces seized control of Maarat al-Numan, a town in Idlib Governorate on the highway linking Damascus with Aleppo. By 18 October, the FSA had captured Douma, the biggest suburb of Damascus. Lakhdar Brahimi arranged for a ceasefire during Eid al-Adha in late October, but it quickly collapsed. On 6 September 2012 Kurdish activists reported that 21 civilians were killed in the Kurdish neighborhood of Sheikh Maqsud in Aleppo, when the Syrian Army shelled the local mosque and its surroundings. Despite the district being neutral during the Battle of Aleppo and free of government and FSA clashes, local residents believed that the district was shelled as retaliation for sheltering anti-government civilians from other parts of the city. In a statement released shortly after the deaths, the Kurdish People’s Protection Units (YPG) vowed to retaliate. A few days later, Kurdish forces killed 3 soldiers in Afrin (Kurdish: Efrîn‎) and captured a number of other government soldiers in Ayn al-Arab(Kurdish:Kobanî‎) and Al-Malikiyah (Kurdish: Dêrika Hemko‎) from where they drove the remaining government security forces. It was also reported that the government had begun to arm Arab tribes around Qamishli in preparation for a possible confrontation with Kurdish forces, who still did not completely control the city. At least 8 government soldiers were killed and 15 wounded by a car bomb in the al-Gharibi district of Qamishli on 30 September 2012. The explosion targeted the Political Security branch. A Syrian rebel sniper in Khan al-Asal, Aleppo Governorate. After Brahimi’s ceasefire agreement ended on 30 October, the Syrian military expanded its aerial bombing campaign in Damascus. A bombing of the Damascus district of Jobar was the first instance of a fighter jet being used to bomb Damascus. The following day, Gen. Abdullah Mahmud al-Khalidi, a Syrian Air Force commander, was assassinated by opposition gunmen in the Damascus district of Rukn al-Din. In early November 2012, rebels made significant gains in northern Syria. The rebel capture of Saraqib in Idlib Governorate, which lies on the M5 highway, further isolated Aleppo. Due to insufficient anti-aircraft weapons, rebel units attempted to nullify the government’s air power by destroying landed helicopters and aircraft on air bases. On 3 November, rebels launched an attack on theTaftanaz air base. On 18 November, rebels took control of Base 46 in the Aleppo Governorate, one of the Syrian Army’s largest bases in northern Syria, after weeks of intense fighting. Defected General Mohammed Ahmed al-Faj, who commanded the assault, stated that nearly 300 Syrian troops had been killed and 60 had been captured, with rebels seizing large amounts of heavy weapons, including tanks. On 22 November, rebels captured the Mayadeen military base in the country’s eastern Deir ez-Zor Governorate. Activists said this gave the rebels control of a large amount of territory east of the base, stretching to the Iraqi border.On 29 November, at approximately 10:26 UTC, the Syrian Internet and phone service was shut off for a two-day period. Syrian government sources denied responsibility and blamed the blackout on fiber optic lines near Damascus becoming exposed and damaged; Edward Snowden in August 2014 claimed that this Internet breakdown had been caused, though unintendedly, by hackers of the NSA during an operation to intercept Internet communication in Syria. A destroyed tank on a road in Aleppo. In mid-December 2012, American officials said that the Syrian military had firedScud ballistic missiles at rebel fighters inside Syria. Reportedly, six Scud missiles were fired at the Sheikh Suleiman base north of Aleppo, which rebel forces had occupied. It is unclear whether the Scuds hit the intended target. The government denied this claim. Later that month, a further Scud attack took place near Marea, a town north of Aleppo near the Turkish border. The missile appeared to have missed its target. That same month, the British Daily Telegraphreported that the FSA had now penetrated into Latakia Governorate’s coast through Turkey. In late December, rebel forces pushed further into Damascus, taking control of the adjoining Yarmouk and Palestine refugee camps, pushing out pro-government Popular Front for the Liberation of Palestine-General Commandfighters with the help of other factions. Rebel forces launched an offensive in Hama Governorate, later claiming to have forced army regulars to evacuate several towns and bases, and stating that “three-quarters of western rural Hama is under our control.” Rebels also captured the town of Harem near the Turkish border in Idlib Governorate, after weeks of heavy fighting. On 11 January 2013, Islamist groups, including al-Nusra Front, took full control of the Taftanaz air base in the Idlib Governorate, after weeks of fighting. The air base was often used by the Syrian military to carry out helicopter raids and deliver supplies. The rebels claimed to have seized helicopters, tanks and multiple rocket launchers, before being forced to withdraw by a government counter-attack. The leader of the al-Nusra Front said the amount of weapons they took was a “game changer”. On 11 February, Islamist rebels captured the town of Al-Thawrah in Ar-Raqqah Governorate and the nearby Tabqa Dam, Syria’s largest dam and a key source of hydroelectricity. The next day, rebel forces took control of Jarrah air base, located 60 kilometres (37 mi) east of Aleppo. On 14 February, fighters from al-Nusra Front took control of Shadadeh, a town in Al-Hasakah Governorate near the Iraqi border. On 20 February, a car bomb exploded in Damascus near the Ba’ath Syrian Regional Branch headquarters, killing at least 53 people and injuring more than 235. None of the groups claimed responsibility. On 21 February, the FSA in Quasar began shelling Hezbollah positions in Lebanon. Prior to this, Hezbollah had been shelling villages near Quasar from within Lebanon. A 48-hour ultimatum was issued by a FSA commander on 20 February, warning the militant group to stop the attacks. On 2 March, intense clashes between rebels and the Syrian Army erupted in the city of Raqqah, with many reportedly killed on both sides. On the same day, Syrian troops regained several villages near Aleppo. By 3 March, rebels had overrun Raqqah’s central prison, allowing them to free hundreds of prisoners, according to the SOHR. The SOHR also stated that rebel fighters were now in control of most of an Aleppo police academy in Khan al-Asal, and that over 200 rebels and government troops had been killed fighting for control of it. By 6 March, the rebels had captured the city of Raqqah, effectively making it the first provincial capital to be lost by the Assad government. Residents of Raqqah toppled a bronze statue of his late father Hafez Assad in the centre of the city. The rebels also seized two top government officials. On 18 March, the Syrian Air Force attacked rebel positions in Lebanon for the first time. The attack occurred at the Wadi al-Khayl Valley area, near the town of Arsal. On 21 March, a suspected suicide bombing in the Iman Mosque in Mazraa district killed as many as 41 people, including the pro-Assad Sunni cleric, Sheikh Mohammed al-Buti. On 23 March, several rebel groups seized the 38th division air defense base in southern Daraa Governorate near a highway linking Damascus to Jordan. On the next day, rebels captured a 25 km strip of land near the Jordanian border, which included the towns of Muzrib, Abdin, and the al-Rai military checkpoint. On 25 March, rebels launched one of their heaviest bombardments of Central Damascus since the revolt began. Mortars reached Umayyad Square, where the Ba’ath Party headquarters, Air Force Intelligence and state television are located.On 26 March, near the Syrian town of al-Qusayr, rebel commander Khaled al Hamad, who commands the Al Farooq al-Mustakilla Brigade and is also known by his nom de guerre Abu Sakkar, ate the heart and liver of a dead soldier and said “I swear to God, you soldiers of Bashar, you dogs, we will eat from your hearts and livers! O heroes of Bab Amr, you slaughter the Alawites and take out their hearts to eat them!” in an apparent attempt to increase sectarianism. Video of the event emerged two months later and resulted in considerable outrage, especially from Human Rights Watch which classified the incident as a war crime. According to the BBC, it was one of the most gruesome videos to emerge from the conflict to-date. On 29 March, rebels captured the town of Da’el after fierce fighting. The town is located in Daraa Governorate, along the highway connecting Damascus to Jordan. On 3 April, rebels captured a military base near the city ofDaraa. On 2 January 2013, a bomb was detonated by unknown assailants in front of a Syrian government security office in Qamishli, wounding four members of the local security forces. In mid-January, as clashes re-erupted between rebels and Kurdish separatists in Ras al-Ayn, YPG forces moved to expel government forces from oil-rich areas in Hassakeh Province. Clashes broke out from 14 to 19 January between the army and YPG fighters in the Kurdish village of Gir Zîro (Tall Adas), near al-Maabadah(Kurdish: Girkê Legê‎), where an army battalion of around 200 soldiers had been blockaded since 9 January. YPG forces claimed to have expelled government after the clashes. One soldier was reportedly killed and another eight injured, while seven were captured (later released) and 27 defected. Fighting at the oil field near Gir Zîro ended on 21 January, when government forces withdrew after receiving no assistance from Damascus. In Rumeilan, directly west of al-Maabadah, another 200 soldiers had been surrounded by YPG forces, and 10 soldiers were reported to have defected. From 8 to 11 February, heavy clashes broke out between the YPG and government troops in the PYD/YPG-held district Ashrafiyah where, according to SOHR, at least 3 soldiers and 5 pro-government militiamen were killed. The fighting followed deadly shelling on 31 January on Ashrafiyah, in which 23 civilians were killed after FSA units moved into the Kurdish sector of Aleppo.According to its own reports, the YPG lost 7 of its members the fighting, while also claiming that 48 soldiers were killed and 22 captured,and a further 70 injured. On 26 February, the Syrian Army once again shelled the PYD-held Kurdish sector of Aleppo, causing extensive damage to civilian areas. Five people were killed in the bombardment, and eleven more—including four children—were injured. In the beginning of March, YPG forces took complete control of oil fields and installations in north-east Syria after government forces in it surrendered. During the same time YPG assaulted government forces and took control of town Tall ʿAdas, which is adjacent to Rumeilan oil fields, and also took control of Al-Qahtaniya (Kurdish: Tirbespî‎). On 14 April 2013, government warplanes bombed the predominantly Kurdish village of Hadad, in Hasakah Governorate. 16 people were reported killed. On 17 April, government forces breached a six-month rebel blockade in Wadi al-Deif, near Idlib. Heavy fighting was reported around the town of Babuleen after government troops attempt to secure control of a main highway leading to Aleppo. The break in the siege also allowed government forces to resupply two major military bases in the region which had been relying on sporadic airdrops. On 18 April, the FSA took control of Al-Dab’a Air Base near the city of al-Qusayr. The base was being used primarily to garrison ground troops. Meanwhile, the Syrian Army re-captured the town of Abel. The SOHR said the loss of the town would hamper rebel movements between al-Qusayr and Homs city. The capture of the airport would have relieved the pressure on the rebels in the area, but their loss of Abel made the situation more complicated. The same day, rebels reportedly assassinated Ali Ballan, who was a government employee, in the Mazzeh district of Damascus.On 21 April, government forces captured the town of Jdaidet al-Fadl, near Damascus. In April, government and Hezbollah forces launched an offensive to capture areas near al-Qusayr. On 21 April, pro-Assad forces captured the towns of Burhaniya, Saqraja and al-Radwaniya near the Lebanese border By this point, eight villages had fallen to the government offensive in the area. On 24 April, after five weeks of fighting, government troops re-took control of the town of Otaiba, east of Damascus, which had been serving as the main arms supply route from Jordan. Meanwhile, in the north of the country, rebels took control of a position on the edge of the strategic Mennagh Military airbase, on the outskirts of Aleppo. This allowed them to enter the airbase after months of besieging it. On 2 May, government forces captured the town of Qaysa in a push north from the city’s airport. Troops also retook the Wadi al-Sayeh central district of Homs, driving a wedge between two rebel strongholds. SOHR reported a massacre of over 100 people by the Syrian Army in the coastal town of Al Bayda, Baniyas. However, this could not be independently verified due to movement restrictions on the ground. Yet the multiple video images that residents said they had recorded – particularly of small children, were so shocking that even some government supporters rejected Syrian television’s official version of events, that the army had simply “crushed a number of terrorists.” On 3 May, the Syrian Army backed by the Shabiha reportedly committed a massacre of civilians near the city of Baniyas. The Syrian Observatory for Human Rights said that at least 50 people – and possibly as many as 100 – were killed and that dozens of villagers were still missing. On 8 May, government forces captured the town of Khirbet Ghazaleh, situated along the highway to the Jordanian border. Over 1,000 rebel fighters withdrew from the town due to the lack of reinforcements and ammunition. The loss of the town also resulted in the reopening of the government supply-route to the city of Daraa. The rebels continued to withdraw from other towns so as to not face the Army’s advance along the highway. On 11 May, the rebels managed to cut a newly build desert road used as an Army supply route between central Syria and Aleppo’s airport. On 12 May, government forces took control of Khirbet Ghazaleh and secured the highway near the town. By mid-May, due to the recent Army gains in retaking strategically important locations, military analysts pointed out that the government would have a major advantage in any future peace talks. Analysts on both sides credited the government advances to the restructuring of their forces, which they filled with thousands of militia irregulars trained partly by Hezbollah and Iranian advisers in counter-insurgency operations. The government’s success was also credited to the shift by the Army from trying to recapture the whole country to holding on to strategic areas. On 13 May, government forces captured the towns of Western Dumayna, Haidariyeh, and Esh al-Warwar allowing them to block supplies to the rebels in al-Qusayr. On 16 May, rebels stated that they recaptured the town of Al-Qisa. On 17 May, rebels captured four villages in Eastern Hama, including the Alawite town of Tulaysiah. The villages were abandoned by their residents before the rebels arrived. On 19 May, government forces captured the town of Halfaya in Hama Governorate. The Syrian Army also launched its offensive against the town of Qusayr. A military source reported that the Army entered Qusayr, capturing the city center and the municipality building. One opposition activist denied this, but another confirmed the Army was in control of 60 percent of the city. 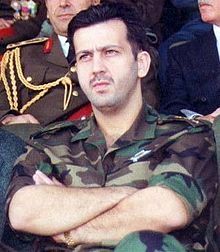 During the day’s fighting, Hezbollah commander Fadi al-Jazar was killed. An opposition source said the attack was launched from the east and the south and that Hezbollah fighters took control of the town hall within a few hours. He added that the fighting was then concentrated in the northern part of the city. The attack appeared to surprise the rebels, who expected the army to push by the north on several rebel-controlled villages before attacking the city. The turning point of the offensive was reached when Hezbollah fighters took control of the Al Tal area overlooking Qusayr. Several rebel fighters accused some commanders from fleeing the Al Tal area at the last minute. Meanwhile, SOHR reported that the Syrian Army was at the area by the western neighborhood of al-Qusayr in order to lay siege on the city itself. On 23 May, rebels captured a military base near the town of Nairab. By 29 May, government forces captured the al-Dabaa air base, north of al-Qusayr. On 1 and 2 June, after heavy fighting, the Syrian Army recaptured three of the Alawite villages that had been previously captured by the rebels in Eastern Hama Governorate. On 5 June, rebel forces withdrew fully from al-Qusayr. The following day, government forces captured the nearby village of Dabaa. On 6 June, rebels temporarily captured the Quneitra border crossing which links the Israeli-occupied Golan Heights with Syria. However, the same day, government forces counter-attacked with tanks and armoured personnel carriers, recapturing the crossing. On 7 June, Syrian troops backed by Hezbollah captured two villages north of al-Qusayr: Salhiyeh and Masoudiyeh. The next day, they captured the village of Buwaydah, the last rebel-held village in the al-Qusayr region. Between 7 and 14 June, Army troops, government militiamen, and Hezbollah fighters launched operations in Aleppo Governorate. Over a one-week period, government forces had advanced both in Aleppo city and the countryside around the city. However, on 14 June, according to an opposition activist, the tide had started reversing, after rebels managed to halt an armoured reinforcement column from Aleppo city for two government-held Shiite villages northwest of the city. Rebels claimed they destroyed one tank and killed 20 government soldiers northwest of the town of Maaret al-Arteek. Before the column was stopped, government forces had captured the high ground at Maaret al-Arteek, threatening rebel positions. Government forces also made some advances in the southern part of Aleppo Governorate, capturing the village of Ain-Assan.During the fighting in Aleppo city itself, on 13 June, government forces managed to temporarily advance into the rebel-held Sakhour district from two directions, but were soon repelled. Some described it as possibly a probing attack and not a full assault. On 10 June, Shia pro-government fighters from the village of Hatla, east of Deir al-Zour, attacked a nearby rebel position, killing four rebels. The next day, in retaliation for the attack, thousands of rebels attacked and captured the village, killing 60 residents, fighters and civilians, according to SOHR. 10 rebel fighters were killed during the attack. At dawn on 13 June, rebels seized an Army position on the northern edge of the town of Morek, which is located on the north-south highway, in fighting that killed six soldiers and two rebels. Later in the day, the Army shelled the base and sent reinforcements. On 14 June, the al-Nusra Front captured a military barracks near Idlib city. On 15 June, the Syrian Army captured the Damascus suburb of Ahmadiyeh near the city’s airport. Rebels said fighting began after rebels entered the town to use it as a position to launch mortars on the Damascus airport. They added that fighting was ongoing. On 22 June, the Syrian Army captured the rebel stronghold town of Talkalakh. Four days later, the Army captured the town of Al-Qariatayn, also in Homs Governorate. On 22 July, FSA fighters seized control of the western Aleppo suburb of Khan al-Asal. The town was the last government stronghold in the western portion of Aleppo Governorate. On 25 July, the Syrian Army secured the town of al-Sukhnah, after expelling the al-Nusra Front. On 27 July, after weeks of fighting and bombardment in Homs, the Syrian Army captured the historic Khalid ibn al-Walid Mosque, and two days later, captured the district of Khaldiyeh. 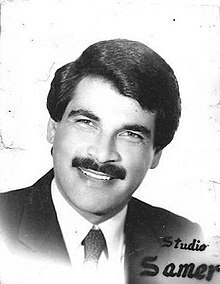 Khaled EbnEl-Walid is an Arabic Hero. He was a great leader of Muslems in their old battles. The Mosque in Homs/Syria is the place of his buried body. On 4 August, around 10 rebel brigades, launched a large-scale offensive on the government stronghold of Latakia Governorate. Initial attacks by 2,000 opposition members seized as many as 12 villages in the mountainous area. Between 4 and 5 August 20 rebels and 32 government soldiers and militiamen had been killed in the clashes. Hundreds of Alawite villagers fled to Latakia. By 5 August, rebel fighters advanced to 20 kilometers from Qardaha, the home town of the Assad family. However, in mid-August, the military counter-attacked and recaptured all of the territory previously lost to the rebels in the coastal region during the offensive. A Syrian security force source “told AFP the army still had to recapture the Salma region, a strategic area along the border with Turkey.” According to a Human Rights Watch report 190 civilians were killed by rebel forces during the offensive, including at least 67 being executed. Another 200 civilians, primarily women and children, were taken hostage. On 6 August, rebels captured Menagh Military Airbase after a 10-month siege. The strategic airbase is located on the road between Aleppo city and the Turkish border. On 21 August, a chemical attack took place in the Ghouta region of the Damascus countryside, leading to thousands of casualties and several hundred dead in the opposition-held stronghold. The attack was followed by a military offensive by government forces into the area, which had been hotbeds of the opposition. On 24 August, rebels captured the town of Ariha. However, government forces recaptured Ariha on 3 September. On 26 August, rebel forces took over the town of Khanasir in Aleppo Governorate which was the government’s last supply route for the city of Aleppo. On 8 September, rebels led by the al-Nusra Front captured the Christian town of Maaloula, 43 km north of Damascus, The Syrian Army launched a counterattack a few days later, recapturing the town. On 18 September, the Islamic State of Iraq and the Levant (ISIS) overran the FSA-held town of Azaz in the north. The fighting was the most severe since tensions rose between militant factions in Syria earlier in the year. Soon after ISIS captured Azaz, a ceasefire was announced between the rival rebel groups. However, in early October, more fighting erupted in the town. On 20 September, Alawite militias including the NDF killed 15 civilians in the Sunni village of Sheik Hadid in Hama Governorate. The massacre occurred in retaliation for a rebel capture of the village of Jalma, in Hama, which killed five soldiers, along with the seizure of a military checkpoint which killed 16 soldiers and 10 NDF militiamen. In mid-September, the military captured the towns of Deir Salman and Shebaa on the outskirts of Damascus. The Army also captured six villages in eastern Homs. Fighting broke out in those towns again in October. On 28 September, rebels seized the Ramtha border post in Daraa Governorate on the Syria Jordan crossing after fighting which left 26 soldiers dead along with 7 foreign rebel fighters. On 3 October, AFP reported that Syria’s army re-took the town of Khanasir, which is located on a supply route linking central Syria to the city of Aleppo.On 7 October, the Syrian Army managed to reopen the supply route between Aleppo and Khanasir. On 9 October, rebels seized the Hajanar guard post on the Jordanian border after a month of fierce fighting. Rebels were now in control of a swath of territory along the border from outside of Daraa to the edge of Golan Heights. The same day, Hezbollah and Iraqi Shiite fighters, backed up by artillery, air-strikes and tanks, captured the town of Sheikh Omar, on the southern outskirts of Damascus. Two days later, they also captured the towns of al-Thiabiya and Husseiniya on the southern approaches to Damascus. The capture of the three towns strengthened the government hold on major supply lines and put more pressure on rebels under siege in the Eastern Ghouta area. On 14 October, SOHR reported that rebels captured the Resefa and Sinaa districts of Deir ez-Zor city, as well as Deir ez-Zor’s military hospital. The Syrian Army along with its allies, Hezbollah and the al-Abas brigade, launched an offensive on Damascus and Aleppo. On 16 October, AFP reported that Syrian troops recaptured the town of Bweida, south of Damascus. On 17 October, the Syrian government’s head of Military Intelligence in Deir ez-Zor Governorate, Jameh Jameh, was assassinated by rebels in Deir ez-Zor city. SOHR reported that he had been shot by a rebel sniper during a battle with rebel brigades. On 24 October, the Syrian Army retook control of the town of Hatetat al-Turkman, located southeast of Damascus, along the Damascus International Airport road. On 26 October, Kurdish rebel fighters seized control of the strategic Yarubiya border crossing between Syria and Iraq from al-Nusra in Al Hasakah Governorate. Elsewhere, in Daraa Governorate, rebel fighters captured the town of Tafas from government forces after weeks of clashes which left scores dead. On 1 November, the Syrian Army retook control of the key city of Al-Safira and the next day, the Syrian Army and its allies recaptured the village of Aziziyeh on the northern outskirts of Al-Safira. From early to mid-November, Syrian Army forces captured several towns south of Damascus, including Hejeira and Sbeineh. Government forces also recaptured the town of Tel Aran, southeast of Aleppo, and a military base near Aleppo’s international airport. On 10 November, the Syrian Army had taken full control of “Base 80”, near Aleppo’s airport. According to the SOHR, 63 rebels, and 32 soldiers were killed during the battle. One other report put the number of rebels killed between 60 and 80.Army units were backed-up by Hezbollah fighters and pro-government militias during the assault. The following day, government forces secured most of the area around the airport. On 13 November, government forces captured most of Hejeira. Rebels retreated from Hejeira to Al-Hajar al-Aswad. However, their defenses in besieged districts closer to the heart of Damascus were still reportedly solid. On 15 November, the Syrian Army retook control of the city of Tell Hassel near Aleppo. On 18 November, the Syrian troops stormed the town of Babbila. On 19 November, government forces took full control of Qara. The same day, the Syrian Army captured al-Duwayrinah. On 23 November, al-Nusra Front and other Islamist rebels captured the al-Omar oil field, Syria’s largest oil field, in Deir al-Zor Governorate causing the government to rely almost entirely on imported oil. On 24 November, rebels captured the towns of Bahariya, Qasimiya, Abbadah, and Deir Salman in Damascus’s countryside. On 28 November, the Syrian Army recaptured Deir Attiyeh. On 2 December, rebels led by the Free Syrian Army recaptured the historic Christian town of Ma’loula. After the fighting, reports emerged that 12 nuns had been abducted by the rebels. However, the FSA disputes this and said that the nuns had been evacuated to the nearby rebel held town of Yabrud due to the Army shelling. In early December, the Islamic Front seized control of Bab al-Hawa border crossing with Turkey, which had been in hands of FSA.The groups also captured warehouses containing equipment delivered by the U.S. In response, the U.S. and Britain said they halted all non-lethal aid to the FSA, fearing that further supplies could fall in hands of al-Qaeda militants. On 9 December, the Army took full control of Nabek, with fighting continuing in its outskirts. Tension between moderate rebel forces and ISIS had been high since ISIS captured the border town of Azaz from FSA forces on 18 September 2013. Conflict was renewed over Azaz in early October and in late November ISIS captured the border town of Atme from an FSA brigade. On 3 January 2014, the Army of the Mujahideen, the Free Syrian Army and the Islamic Front launched an offensive against ISIS in Aleppo and Idlib governorates. A spokesman for the rebels said that rebels attacked ISIS in up to 80% of all ISIS held villages in Idlib and 65% of those in Aleppo. By 6 January, opposition rebels managed to expel ISIS forces from the city of Raqqah, ISIS’s largest stronghold and capital of the Raqqah Governorate. On 8 January, opposition rebels expelled most ISIS forces from the city of Aleppo, however ISIS reinforcements from the Deir ez-Zor Governorate managed to retake several neighborhoods of the city of Raqqah. By mid January ISIS retook the entire city of Raqqah, while rebels expelled ISIS fighters fully from Aleppo city and the villages west of it. On 29 January, Turkish aircraft near the border fired on an ISIS convoy inside the Aleppo province of Syria, killing 11 ISIS fighters and 1 ISIS emir. 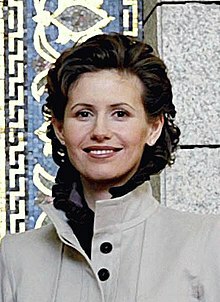 In late January it was confirmed that rebels had assassinated ISIS’s second in command, Haji Bakr, who was al-Qaeda’s military council head and a former military officer in Saddam Hussein’s army.By mid-February, the al-Nusra Front joined the battle in support of rebel forces, and expelled ISIS from the Deir Ezzor Governorate. By March, the ISIS forces fully retreated from the Idlib Governorate. On 4 March, ISIS retreated from the border town of Azaz and other nearby villages, choosing instead to consolidate around Raqqah in an anticipation of an escalation of fighting with al-Nusra. On 4 March, the Syrian Army took control of Sahel in the Qalamoun region. On 8 March, government forces took over Zara, in Homs Governorate, further blocking rebel supply routes from Lebanon. On 11 March, Government forces andHezbollah took control of the Rima Farms region, directly facing Yabrud. On 16 March, Hezbollah and government forces captured Yabrud, after Free Syrian Army fighters made an unexpected withdrawal, leaving the al-Nusra Front to fight in the city on its own. On 18 March, Israel used artillery against a Syrian Army base, after four of its soldiers had been wounded by a roadside bomb while patrolling Golan Heights. On 19 March, the Syrian Army captured Ras al-Ain near Yabrud, after two days of fighting and al-Husn in Homs Governorate, while rebels in the Daraa Governorate captured Daraa prison, and freed hundreds of detainees. On 20 March, the Syrian Army took control of the Krak des Chevaliers in al-Husn. On 29 March, Syrian Army took control of the villages of Flitah and Ras Maara near the border with Lebanon. On 22 March, rebels took control of the Kesab border post in the Latakia Governorate. By 23 March, rebels had taken most of Khan Sheikhoun in Hama. During clashes near the rebel-controlled Kesab border post in Latakia, Hilal Al Assad, NDF leader in Latakia and one of Bashar Al Assad‘s cousins was killed by rebel fighters. On 4 April, rebels captured the town of Babulin, Idlib. On 9 April, the Syrian Army took control of Rankous in the Qalamoun region. On 12 April, rebels in Aleppo stormed the government-held Ramouseh industrial district in an attempt to cut the Army supply route between the airport and a large Army base. The rebels also took the Rashidin neighbourhood and parts of the Jamiat al-Zahra district.On 26 April, the Syrian Army took control of Al-Zabadani. According to SOHR, rebels took control of Tell Ahrmar, Quneitra. Rebels in Daraa also took over Brigade 61 Base and the 74th battalion. On 26 April, the FSA announced they had begun an offensive against ISIS in the Raqqah Governorate, and had seized five towns west of Raqqah city. On 29 April, activists said that the Syrian Army captured Tal Buraq near the town of Mashara in Quneitra without any clashes. On 7 May, a truce went into effect in the city of Homs, SOHR reported. The terms of the agreement include safe evacuation of Islamist fighters from the city, which would then fall under government control, in exchange for release of prisoners and safe passage of humanitarian aid for Nubul and Zahraa, two Shiite enclaves besieged by the rebels. On 18 May, the head of Syria’s Air Defense, General Hussein Ishaq, died of wounds sustained during a rebel attack on an air defense base near Mleiha the previous day. In Hama Governorate, rebel forces took control of the town of Tel Malah, killing 34 pro-Assad fighters at an army post near the town. Its seizure marked the third time rebels have taken control of the town. Syria held a presidential election in government-held areas on 3 June 2014. For the first time in the history of Syria more than one person was allowed to stand as a presidential candidate.More than 9,000 polling stations were set up in government-held areas. According to the Supreme Constitutional Court of Syria, 11.63 million Syrians voted (the turnout was 73.42%). President Bashar al-Assadwon the election with 88.7% of the votes. As for Assad’s challengers, Hassan al-Nouri received 4.3% of the votes andMaher Hajjar received 3.2%.Allies of Assad from more than 30 countries were invited by the Syrian government to follow the presidential election, including Bolivia, Brazil, Cuba, Ecuador, India, Iran, Iraq, Nicaragua, Russia, South Africa and Venezuela. The Iranian official Alaeddin Boroujerdi read a statement by the group saying the election were “free, fair and transparent”. The Gulf Cooperation Council, the European Union and the United States all dismissed the election as illegitimate and a farce. State employees were told to vote or face interrogation. On the ground there were no independent monitors stationed at the polling stations. It is claimed in an opinion piece that as few as 6 million eligible voters remained in Syria.Due to rebel, Kurdish and ISIS control of Syrian territories there was no voting in roughly 60% of the country. Starting on 5 June, ISIL seized swathes of territory in Iraq in addition to heavy weapons and equipment from the Iraqi Army, some of which they brought into Syria. Government airstrikes targeted ISIL bases in Ar-Raqqah and Al-Hasakah in coordination with an Iraqi Army counteroffensive. On 14 June, government forces retook the town of Kessab in northern Latakia Governorate, while rebels took over Tall al-Gomo near the town of Nawa in the Daraa Governorate, as well as reentering the Qalamoun area. According to the Syrian Observatory for Human Rights, on 17 July ISIL took control of the Shaar oil field, killing 90 pro-government forces while losing 21 fighters. In addition, 270 guards and government-aligned fighters were missing. About 30 government persons managed to escape to the nearby Hajjar field. On 20 July, the Syrian Army secured the field, although fighting continued in its outskirts. On 25 July, the Islamic State took control of the Division 17 base near Raqqah. On 7 August, ISIL took the Brigade 93 base in Raqqah using weapons captured from their offensive in Iraq. Multiple suicide bombs also went off before the base was stormed.On 13 August, ISIL forces took the towns of Akhtarin and Turkmanbareh from rebels in Aleppo. ISIL forces also took a handful of nearby villages. The other towns seized include Masoudiyeh, Dabiq and Ghouz. On 14 August, the Free Syrian Army commander Sharif As-Safouri admitted working with Israel and receiving anti-tank weapons from Israel and FSA soldiers also received medical treatment inside Israel. On 14 August, the Syrian Army as well as Hezbollah militias retook the town of Mleiha in Rif Dimashq Governorate. The Supreme Military Council of the FSA denied claims of Mleiha’s seizure, rather the rebels have redeployed from recent advances to other defensive lines. Mleiha has been held by the Islamic Front. Rebels had used the town to fire mortars on government held areas inside Damascus. Meanwhile, ISIL forces in Raqqah were launching a siege on Tabqa airbase, the Syrian government’s last military base in Raqqah. Kuwaires airbase in Aleppo also came under fierce attack by ISIL. On 16 August, there were reports that 22 people were killed in the village of Daraa by a car bomb outside a mosque. The bomb was thought to be detonated by ISIS. Also on 16 August, the Islamic State seized the village of Beden in Aleppo Governorate from rebels. On 17 August, SOHR said that in the past two weeks ISIL jihadists had killed over 700 tribal members in oil-rich Deir ez-Zor Governorate. On 19 August, a senior figure in ISIL who had helped prepare and plan car and suicide bombs across Syria, Lebanon, and Iraq was killed. Some reports said that he was killed by Hezbollah fighters. There were also several reports that he was killed by the Syrian Army in the Qalamoun region, near the border with Lebanon. who claimed it was in retaliation for the United States operations in Iraq. Foley was kidnapped in Syria in November 2012 by Shabiha militia. 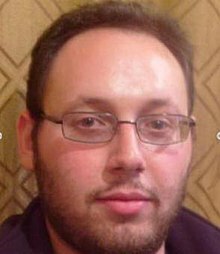 ISIL also threatened to execute Steven Sotloff, who was kidnapped at the Syrian-Turkish border in August 2013. There were reports ISIS captured a Japanese national, two Italian nationals, and a Danish national as well. At least 70 journalists have been killed covering the Syrian war, and more than 80 kidnapped, according to theCommittee to Protect Journalists. On 22 August, the al-Nusra Front released a video of captured Lebanese soldiers and demanded that Hezbollah withdraw from Syria under threat of their execution. On 23 August, the Tabqa airbase was no longer encircled by ISIL fighters and the Syrian Army had taken back the M-42 Highway from ISIL fighters, which leads to the city ofSalamiyah in the Hama Governorate. Also in Raqqah, the Syrian Army took control of the town of Al-Ejeil. ISIL reportedly sent reinforcements from Iraq to the governorate of Raqqah. The Syrian Observatory for Human Rights said at least 400 ISIL fighters had also been wounded in the previous five days in clashes with the Syrian Army and National Defence Force in Raqqah alone. At the same time, Several senior UK and US figures urged Turkey to stop allowing ISIL to cross the border to Syria and Iraq. On the following day, the Islamic State seized Tabqa airbase from government forces. The battle for the base left 346 ISIL fighters and 195 soldiers dead. Prisoners taken by ISIL forces were executed and a video from the mass killing was posted on YouTube. The death toll varied from 120 to 250. On 26 August, the Syrian Air Force carried out airstrikes against ISIL targets in the Governorate of Deir ez-Zor. This was the first time the Syrian Army attacked them in Deir ez-Zoras the Syrian Army pulled out of Raqqah and shifted to Deir ez-Zor in a bid to seize its oil and natural gas resources as well as strategically splitting ISIL territories. American jets began bombing ISIL in Syria on 23 September 2014, raising U.S. involvement in the war-torn country. At least 20 targets in and around Raqqah were hit, the opposition group Syrian Observatory for Human Rights said. Foreign partners participating in the strikes with the United States were Bahrain, Saudi Arabia, the United Arab Emirates, Qatar and Jordan. The U.S. and “partner nation forces” began striking ISIL targets using fighters, bombers and Tomahawk missiles, Pentagon spokesman Rear Adm. John Kirby said. U.S. aircraft include B-1 bombers, F-16s, F-18s and Predator drones, with F-18s flying missions off the USS George H.W. Bush (CVN-77) in the Persian Gulf.Tomahawk missileswere fired from the destroyer USS Arleigh Burke (DDG-51) in the Red Sea. Syria’s Foreign Ministry told the Associated Press that the U.S. informed Syria’s envoy to the U.N. that “strikes will be launched against the terrorist group in Raqqah” The United States informed the Free Syrian Army beforehand of the impending airstrikes, and the rebels said that weapons transfers to the Free Syrian Army had begun. The United States also attacked a specific faction of al-Nusra called theKhorasan Group, who according to the United States had training camps and plans for attacking the United States in the future. For its part, Turkey launched an official request to the U.N. for a no-fly zone over Syria. The same day, Israel shot down a Syrian warplane after it entered the Golan area from Quneitra. By 3 October, ISIL forces were heavily shelling the city of Kobanî and were within a kilometer of the town. Within 36 hours from 21 October, the Syrian air force carried out over 200 airstrikes on rebel-held areas across Syria and US and Arab jets attacked IS positions around Kobanî. Syrian Information Minister Omran al-Zoubi said the YPG forces in Kobanî had been provided with military and logistical support. Syria reported that its air force had destroyed two fighter jets being operated by IS. By 26 January, the Kurdish YPG forced ISIL forces in Kobanî to retreat, thus fully recapturing the city. The U.S. confirmed that the city had been cleared of ISIL forces on 27 January, and ISIL admitted defeat in Kobanî city three days later, although they vowed to return. In February 2014, the Southern Front of the Free Syrian Army formed in southern Syria. Six months later, they started a string of victories in Daraa and Quneitra during the 2014 Quneitra offensive, the Daraa offensive, the Battle of Al-Shaykh Maskin, the Battle of Bosra (2015) and the Battle of Nasib Border Crossing. A government counter-offensive (the2015 Southern Syria offensive) during this period, that included the IRGC and Hezbollah, recaptured 15 towns, villages and hills, but the operation slowed soon after and stalled. Since early 2015, opposition military operations rooms based in Jordan and Turkey began increasing cooperation, with Saudi Arabia and Qatar also reportedly agreeing upon the necessity to unite opposition factions against the Syrian government. In late October 2014, a conflict erupted between the al-Nusra Front on one side and the western-backed SRF and Hazzm Movement on the other (Al-Nusra Front–SRF/Hazzm Movement conflict). ISIL reportedly reinforced al-Nusra. By the end of February 2015 al-Nusra had defeated both groups, captured the entire Zawiya Mountain region in Idlib province and several towns and military bases in other governorates, and seized weapons supplied by the CIA to the two moderate groups. The significant amount of weapons seized included a small number ofBGM-71 anti-tank missiles similar to weapons systems al-Nusra Front had previously captured from government stockpiles such as French MILANs, ChineseHJ-8s and Russian 9K111 Fagots.Reuters reported that this represented al-Nusra crushing pro-Western rebels in the north of the country.According to FSA commanders in northern Syria, however, the elimination of Harakat Hazm and the SRF was a welcome development due to the leaders of those factions allegedly involved in corruption. The Western-backed 30th Division of the FSA remained active elsewhere in Idlib. By 24 March 2015 the al-Nusra Front dominated most of Idlib province, except for the government-held provincial capital, Idlib, which they had encircled on three sides along with its Islamist allies. On 28 March a joint coalition of Islamist forces, the Army of Conquest, captured Idlib. This left the north largely taken over byAhrar ash-Sham, al-Nusra Front and other Islamist rebels, with the south of the country becoming the last significant foothold for the mainstream, non-jihadist opposition fighters. On 22 April, a new rebel offensive was launched in the north-west of Syria and by 25 April, the rebel coalition Army of Conquest had captured the city of Jisr al-Shughur. At the end of the following month, the rebels also seized the Al-Mastumah military base,and Ariha, leaving government forces in control of tiny pockets of Idlib, including the Abu Dhuhur military airport. In addition, according to Charles Lister (Brookings Doha Center), the Army of Conquest coalition was a broad opposition effort to ensure that the Al-Qaeda-affiliated al-Nusra Front was contained, with the rearguard involvement of Western-backed factions being regarded as crucial. Still, according to some, the FSA in northern Syria had by this point all but dissipated. Many of the moderate fighters joined more extremist organizations, such as Ahrar ash-Sham, the largest faction in the Army of Conquest, which led to the subsequent rise of the Islamist Army of Conquest coalition. Rebel advances led to government and Hezbollah morale plunging dramatically. In north-west Syria these losses were countered by a Hezbollah-led offensive in the Qalamoun mountains north of Damascus, on the border with Lebanon, that gave Hezbollah effective control of the entire area. On 21 May, ISIL took control of Palmyra, a UNESCO World Heritage Site, after eight days of fighting. The jihadists also captured the nearby towns of Al-Sukhnah and Amiriya, as well as several oil fields. Following the capture of Palmyra, ISIL conducted mass executions in the area, killing an estimated 217–329 government civilian supporters and soldiers, according to opposition activists. Government sources put the number of killed at 400–450. By early June, ISIL reached the town of Hassia, which lies on the main road from Damascus to Homs and Latakia, and reportedly took up positions to the west of it, creating a potential disaster for the government and raising the threat of Lebanon being sucked further into the war. On 25 June, ISIL launched two offensives. One was a surprise diversionary attack on Kobanî, while the second targeted government-held parts of Al-Hasakah city. The ISIL offensive on Al-Hasakah displaced 60,000 people, with the UN estimating a total of 200,000 would be displaced. In July 2015, a raid by U.S. special forces on a compound housing the Islamic State’s “chief financial officer”, Abu Sayyaf, produced evidence that Turkishofficials directly dealt with ranking ISIS members. ISIS captured Qaryatayn city from the government on 5 August 2015. Australia joined the bombing of ISIL in Syria in mid September, an extension of their efforts in Iraq for the last year. On 30 September 2015, the Russian Aerospace Forces, at an official request by the Syrian government headed by President Bashar al-Assad, began air strikes against both ISIL and the anti-Assad FSA.Russia claimed that the airstrike destroyed several local headquarters, ammunition storage, logistic infrastructure of IS and anti-Assad forces and about 3,000 militants from Islamic State, al-Nusra and Jaish al-Yarmouk according to Russian sources have retreated to Jordan to avoid possible air strikes. On 5 October 2015, newsmedia reports suggested that over 40 Syrian anti-government groups, including factions such as Ahrar ash-Sham, Jaysh al-Islam and the Levant Front, vowed to attack Russian forces in retaliation for Moscow’s air campaign. Meanwhile, CNN reports claimed U.S. president Barack Obama had a few days prior authorized the resupply of Syrian Kurds and the Arab-Syrian opposition, the President emphasizing to his team that the U.S. would continue to support the Syrian opposition now that Russia had joined the conflict. On 7 October 2015, Russian officials claimed the ships of the Caspian Flotilla had earlier that day fired 26 sea-based cruise missiles at 11 ISIL targets in Syria destroying those and causing no civilian casualties. On the same day, the Syrian government′s ground forces launched aground offensive that in the following few days succeeded in recapturing some territory in northern Hama Governorate, close to the government’s coastal heartland in the west of the country. On 8 October 2015, the U.S. officially announced the end of the Pentagon’s $500 million program to train and equip Syrian rebels in an acknowledgment that the program had failed (other covert and significantly larger CIA programs to arm anti-government fighters in Syria continue. On October 9, France engaged in bombing ISIL targets, possibly killing some French jihadists. Two weeks after the start of the Russian campaign in Syria, The New York Timesopined that with anti-government commanders receiving for the first time bountiful supplies of U.S.-made antitank missiles and with Russia raising the number of airstrikes against the government’s opponents that had raised morale in both camps, broadening war objectives and hardening political positions, the conflict was turning into an all-out proxy war between the U.S. and Russia. Despite multiple top-ranking casualties incurred by the Iranian forces in Syria, in mid-October the Russian-Syrian-Iranian-Hezbollah offensive targeting rebels in Aleppo went ahead. At the end of October 2015, the U.S. defence minister Ashton Carter signalled a shift in the strategy of the U.S.-led campaign saying there will be more air strikes and ruling in the use of direct ground raids, the fight in Syria concentrating mostly on Raqqah. On 30 October and two weeks later, Syria peace talks were held in Vienna, intitiated by the U.S., Russia, Turkey and Saudi Arabia, in which on 30 October Iranparticipated for the first time in negotiations on Syrian settlement. The participants disagreed on the future of Bashar Assad. On 10 November 2015, the Syrian government forces completed the operation to break through the Islamic State insurgents′ blockade of the Kweires air base in Aleppo Province, where government forces had been under siege since April 2013. In mid-November 2015, in the wake of the Russian plane bombing over Sinai and the Paris attacks, both Russia and France significantly intensified their strikes in Syria, France closely coordinating with the U.S. military. On 17 November, Putin said he had issued orders for the Moskva cruiser that had been in eastern Mediterranean since the start of the Russian operations to “work as with an ally”, with the French naval group led by flagship Charles De Gaulle that had been on its way to eastern Mediterranean since early November.Shortly afterwards, a Russian foreign ministry official criticised France′s stridently anti-Assad stance as well as France′s air strikes at oil and gas installations in Syria as apparently designed to prevent those from returning under the Syrian government′s control; the Russian official pointed out that such strikes by France could not be justified as they were carried out without the Syrian government′s consent. In his remarks to a French delegation that included French parliamentarians, on 14 November, President Bashar Assad sharply criticised France′s as well as other Western States′ actions against the Syrian government suggesting that French support for Syrian opposition forces had led to the Islamic State-claimed attacks in Paris. On 19 November 2015, U.S. President Barack Obama, speaking of the Vienna process, said he was unable to “foresee a situation in which we can end the civil war in Syria while Assad remains in power”; he urged Russia and Iran to stop supporting the Syrian government. On 20 November 2015, the UN Security Council, while failing to invoke the UN’sChapter VII, which gives specific legal authorisation for the use of force, unanimously passed a resolution that urged UN members to “redouble and coordinate their efforts to prevent and suppress terrorist acts committed specifically by ISIL also known as Da’esh as well as ANF, and all other individuals, groups, undertakings, and entities associated with Al-Qaida, and other terrorist groups, as designated by the United Nations Security Council, and as may further be agreed by the International Syria Support Group (ISSG) and endorsed by the UN Security Council”.The adopted resolution was drafted by France and co-sponsored by the UK the following day after Russia introduced an updated version of its previously submitted draft resolution that was blocked by the Western powers as seeking to legitimise Assad’s authority. On 24 November 2015, Turkey shot down a Russian warplane that allegedly violated Turkish airspace and crashed in northwestern Syria, leading to the Russian pilot’s death.Following the crash, it was reported that Syrian Turkmenrebels from Syrian Turkmen Brigades attacked and shot down a Russian rescue helicopter, killing a Russian naval infantryman. A few days after, Russian aircraft were reported to have struck targets in the Syrian town of Ariha in Idlib province that was controlled by the Army of Conquestcausing multiple casualties on the ground. On 2 December 2015, the Parliament of the United Kingdom voted to expand its Iraqi air strike campaign into Syria with a majority of 397-223. Following the vote, two BritishTornado aircraft took off from RAF Akrotiri immediately at 22:30, each carrying three Paveway bombs. Two further aircraft were deployed at 00:30 on 3 December, and all aircraft returned by 06:30 without their bombs. Defence Secretary Michael Fallon said that the strikes hit the Omar oil fields in eastern Syria, and that eight more jets (two Tornados and six Typhoons) were being sent to RAF Akrotiri to join the eight already there. On 7 December 2015, the government of Syria announced that US-led coalition warplanes had fired nine missiles at its army camp near Ayyash, Deir al-Zour province, on the evening prior, killing three soldiers and wounding 13 others; three armoured vehicles, four military vehicles, heavy machine-guns and an arms and ammunition depot were also destroyed. The government condemned the strikes, the first time the government forces would be struck by the coalition, as an act of “flagrant aggression”; the coalition spokesman denied it was responsible. Anonymous Pentagon officials alleged later in the day that the Pentagon was “certain” that a Russian warplane (presumably a TU-22 bomber) had carried out the attack. The claim was denied by the Russian military spokesman who noted that four Western coalition warplanes (other than U.S.) had been spotted over the Deir az-Zor area in Syria on 6 December. On 14 December 2015, Russia′s government news media reported that the Syrian government forces retook the Marj al-Sultan military airbase east of Damascus that had been held by Jaysh al-Islam. A UN fact-finding mission was requested by member states to investigate 16 alleged chemical weapons attacks. Seven of them have been investigated (nine were dropped for lack of “sufficient or credible information”) and in four cases the UN inspectors confirmed use of sarin gas. The reports, however, did not blame any party of using chemical weapons. Many countries, including the United States and the European Union have accused the Syrian government of conducting several chemical attacks, the most serious of them being the 2013 Ghouta attacks. Following this incident and international pressure, the destruction of Syria’s chemical weapons began. In 2015 the UN mission disclosed previously undeclared traces of sarin compounds in a “military research site”. In December 2012, the Syrian government began using Scud missiles on rebel-held towns, primarily targeting Aleppo. On 19 February, four Scud missiles were fired, three landed in Aleppo city and one on Tell Rifaat town, Aleppo Governorate. Between December and February, at least 40 Scud missile landings were reported. Altogether, Scud missiles killed 141 people in the month of February. The United States condemned the Scud missile attacks. On 1 March, a Scud missile landed in Iraq. It is believed that the intention was to hit the Deir Ezzor Governorate. On 29 March, a Scud missile landed on Hretan, Aleppo, killing 20 and injuring 50. On 28 April, a Scud missile landed on Tell Rifaat, killing four, two of them women and two of them children, SOHR reported. On 3 June, a surface to surface missile, not confirmed as a Scud, hit the village of Kafr Hamrah around midnight killing 26 people including six women and eight children according toSOHR. Rebel suicide bombings began in December 2011; the al-Nusra Front has claimed responsibility for 57 out of 70 similar attacks through April 2013. The bombings have claimed numerous civilian casualties, including 47 mainly Alawite children killed in Homs on 1 October 2014. A barrel bomb is a type of improvised explosive device used by the Syrian Air Force. Typically, a barrel is filled with a large amount of TNT, and possiblyshrapnel (such as nails) and oil, and dropped from a helicopter. The resulting detonation can be devastating. A Free Syrian Army 13th Division militant firing a BGM-71 TOW at a Syrian Arab Army target in Homs, Syria. The weapon was spotted as early as April 2014 in at least two videos that surfaced showing Syrian opposition forces in the Syrian Civil War using BGM-71 TOWs, a weapon previously not seen in use by the opposition. Such a video, showing a BGM-71E-3B with the serial number removed, can be seen in a 27 May 2014 episode of the PBS series Frontline. In February 2015, The Carter Center listed 23 groups within the Southern Front of the Free Syrian Army that have been documented using US supplied TOWs. A sudden influx of TOWs were supplied in May 2015, mostly to Free Syrian Army affiliated factions, but also independent Islamist battalions; as a requirement of being provided TOWs, these Syrian opposition groups are required to document the use of the missiles by filming their use, and are also required to save the spent missile casings. Groups provided with TOWs include the Hazzm Movement, the 13th Division, 1st Coastal Division, Syria Revolutionaries Front, Yarmouk Army,Knights of Justice Brigade, and the 101st Division. Free Syrian Army battalions widely and decisively used TOWs in the2015 Jisr al-Shughur offensive. Russia attempted a rescue operation after a Su-24M was shot down at Syria–Turkey border on 24 November 2015, a video of Syrian rebels using a TOW missile to destroy a Russian helicopter was posted on YouTube. Saudi Arabia officials have confirmed supply of at least one batch of 500 BGM-71 TOW to FSA, which also have been provided by CIA. During this conflict, over 9,000 BGM-71E3B TOW and M79 Osaanti-tank systems have been brought in. Credit: Gasper Furman | Shutterstock.comAlmost every religion has their own accounts of miracles: divine events that seem to transcend the natural law. But as science has marched forward, many seeming miracles wind up having scientific explanations. Still others are shown to be elaborate hoaxes. Even so, belief in miracles continues. And despite scientific progress, there are still many miraculous phenomena that haven’t been explained. From liquefying blood to bleeding statues, here are some of the most famous and controversial miracles in history. Credit: nullIn 1981 in the small town of Medjugorje in what is now Bosnia-Herzegovina, six children reported seeing apparitions of the Virgin Mary. For years they claimed to receive daily messages and so far have allegedly received thousands of prophecies. “One is a prediction that there are 10 secrets that will reveal the end of the world,” said Michael O’Neill, who runs the websiteMiracleHunter.com. Credit: Yongwon Kim , University of Alaska FairbanksIn 1917 in the fields near Fatima, Portugal, shepherd children said the Virgin Mary appeared to them in a vision, telling them a miracle would occur on Oct. 13 that year. Thousands came to witness the event. Around Noon on a rainy day, the sun appeared to turn into a spinning disk that spiraled toward the Earth. Newspaper reporters onsite also reported the event. The church added the miracle of the sun to its list of official miracles in 1930. Some skeptics, however, point out that the effect could have been a sundog, a patch of light that appears near the sun, or note that not everyone there that day saw the miracle. Credit: Chad Zuber | ShutterstockIn 1531 in the fields near Mexico City, a peasant named Juan Diego claimed to see an apparition of the Virgin Mary, who asked that a church be built in her honor. The Virgin also asked the man to gather flowers on a hillside, which he did and placed in his cloak. Afterwards, the cloak appeared to hold the imprint of the Virgin Mary. Though there have been a few scientific analyses of the so-called Our Lady of Guadalupe miracle over the years, no one has come to a definitive conclusion as to whether or how the image was painted, and if so, how it has been preserved so well. Credit: Public DomainLegend has it that a Cathedral in Naples holds a vial of blood from an early Christian martyr, St. Januarius. Reportedly, the blood is dry most of the year, but mysteriously liquefies three times throughout the year, on days commemorating his life and impact. Credit: Public DomainIn the 1600s, the saint and mystic St. Joseph of Cupertino entered into a religious trance and reportedly began hovering over the crowds. He apparently experienced this levitation multiple times — one time in front of Pope Urban VIII. As a result of his flying exploits, this mystic is the patron saint of pilots. In more recent history, other instances of levitation have been revealed as visual illusions, hoaxes or hallucinations. Credit: Stephanie Pappas, LiveScienceSeveral people throughout history have claimed to have stigmata, injuries similar to those Jesus Christ received during the crucifixion. One man, St. Pio of Pietrelcina reportedly had bleeding on his palms. However, skeptics say such miracle claims can be frauds or self-inflicted wounds. Credit: danielo | ShutterstockIn 1973, a statue in a little church in Akita, Japan, allegedly began to bleed soon after Sister Agnes Sasagawa at the church had an apparition of the Virgin Mary. The statue continued to cry, sweat and bleed for several years and was even captured on national television. The Sister Agnes, who was deaf prior to the apparition, also regained her hearing about a decade later. Credit: Public DomainIn 1968, people in the Zeitoun district of Cairo, Egypt, reported seeing anapparition of an illuminated woman walking on the roof of a Coptic church. Many considered this to be an apparition of the Virgin Mary. The event was reportedly seen by many onlookers and even captured in photographs. So far, no one has found evidence that those photos were manipulated. The head of the Coptic Church in Alexandria declared this a legitimate miracle. Credit: | ShutterstockDozens of saints reportedly do not decay after death, instead exuding a sweet and floral odor, which is considered a mark of sanctity. One example is St. Bernadette Soubirous, who died in 1879. In 1909, a bishop exhumed her and found that she had not decayed. She is now displayed, covered in wax imprints, in the Chapel of St. Bernadette in France. Bronze sculpture depicting Dian people, 3rd century BCE. 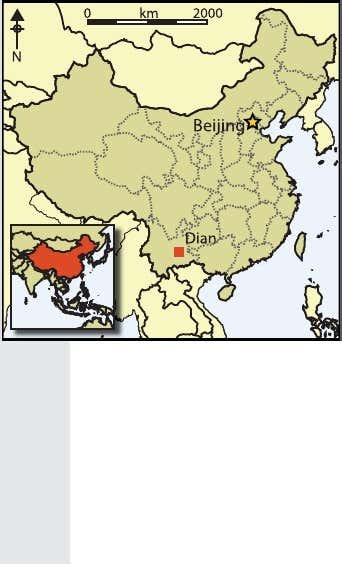 The Dian Kingdom (simplified Chinese: 滇王国; traditional Chinese: 滇國) was established by the Dian people, who lived around Dian Lake in northern Yunnan,China from the late Spring and Autumn period until theEastern Han dynasty. The Dian buried their dead in vertical pit graves.The Dian like spoke Tibeto-Burman languages.Dian was annexed by theHan dynasty during the southward expansion of the Han dynasty. In 109 BCE, Han campaigns against Dian led to the establishment of the Yizhou commandery by the Han. 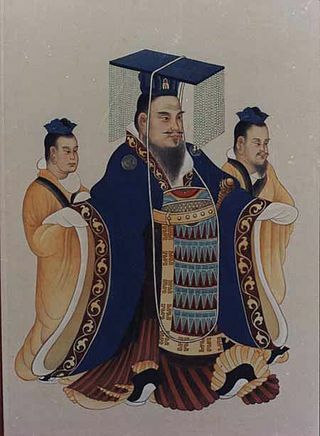 The Dian were first mentioned historically in Sima Qian‘s Records of the Grand Historian; according to Chinese sources, General Zhuang Qiao of Chu was the founder of the Dian Kingdom. Sent to conquer the “barbarian peoples” of the area, he and his army were prevented from going back to Chu by enemy armies, so he settled down and became king of the new Dian Kingdom The soldiers who accompanied him married natives. The kingdom was located around Kunming; it was surrounded on its east by theYelang tribes, to the west by Kunming tribes, and to the north in Chengdu by theHan Chinese, and had relations with all of them. It is said that during the reign of King Qingxiang of Chu (298-236 BCE), a military force was sent on a mission to the lands of the Ba and Shu (modern Sichuan), Qinzong (Guizhou), and the Dian Kingdom (Kunming, Yunnan). Native women married the Chu soldiers, who stayed in the area. The Dian were subjugated by the Han under the reign of Emperor Wu of Han in 109 BCE. The Dian King willingly received the Chinese invasion in the hopes of assistance against rival tribes. It was at this time he received his seal from the Chinese, and became a tributary. Han campaigns against Dian lead to its territory being incorporated into Yizhou Commandery (Chinese: 益州, modern Sichuan) but left the king of Dian as local ruler until a rebellion during the rule of Emperor Zhao of Han. The Han proceeded with colonization and conquered the people of Kunming in 86 and 82 BCE, reachingBurma. The Dian buried their kings at Shizhaishan, which was uncovered in 1954 near Shizhai Village in Jinning County, Yunnan. The burials were identified by the inscription King Dian’s Seal. The inscription was written in seal script on a gold imperial seal of investiture given by the Han Emperor. Sima Qian noted that the Dian were one of only two local groups to have received an imperial seal, the other being Yelang. Both have survived: the Yelang seal emerged in 2007 from a Hmong man in Guizhou, claiming to be the Yelang king’s 75th generation descendant. Bronze sculpture of the Dian Kingdom (felines attacking an ox), 3rd century BCE,Yunnan, China. The Dian people were sophisticated metal workers, casting both bronze and iron. The Dian cast bronze objects using both the piece mould method and the lost wax method. Dian elite burials contained an impressive array of bronze objects, although late Dian burials also contained locally cast iron objects. Large bronze drums were employed by the Dian to communicate in battle; ritual burials of Dian elites were accompanied by large bronze drums filled with cowrie shells. The tops of the drums were removed and replaced by a bronze lid. Iaroslav Lebedynsky and Victor H. Mair speculate that some Scythians may also have migrated to the area of Yunnan in southern China following their expulsion by the Yuezhi in the 2nd century BCE. Excavations of the prehistoric art of the Dian civilization of Yunnan have revealed hunting scenes of Caucasoid horsemen in Central Asian clothing. The scenes depicted on these drums sometimes represent these horsemen practicing hunting. Animal scenes of felines attacking oxen are also at times reminiscent of Scythian art both in theme and in composition. Close-up face of a Dian Kingdom person. Bronze sculpture, 3rd century BCE, Yunnan,China. The bronze lids were covered with miniature figurines and structures, depicting various scenes from the life of the Dian people. The bronze lids depicted the Dian people engaged in everyday activities such as hunting, farming and weaving. Other scenes depicted the leisurely pursuits of the Dian people, such as bullfighting, dancing and music-making. The Dian people dressed in tunics over short pants and wore their hair in topknots. The bronze lids corroborated Sima Qian’s description of the Dian hairstyle. Many scenes depicted the Dian at war, often riding horses. Archaeological evidence shows that horses had been domesticated by the Dian people as early as the sixth century BCE. The bronze lids also depicted the Dian decapitating their enemies (who wore their hair in long plaits). The Kingdom was based on agriculture, the bronzes also showed head hunting, human sacrifice, and slaves as part of Dian society. Belt ornament of the Dian Kingdom, 2nd century BCE. Archaeologists recently discovered the inundated remains of Dian-period buildings and pottery fragments under Fuxian Lake and were able to verify their age with carbon dating. At Dabona, a site connected with the Dian culture, archaeologists discovered a large double coffin burial; The outer coffin was made of wood and the inner coffin was made of bronze. The inner coffin was shaped like a house and weighs over 157 kg. The Yunnan Provincial Museum holds many archaeological relics of the Dian culture. In 2001, a team of archaeologists working at Fuxian Lake in China discovered a vast collection of underwater buildings at the bottom of the lake. Locals had often claimed to be able to see a ghostlike city beneath the waters on a calm day, and over the years, the stories became something of a local legend. On subsequent diving trips, the archaeologists found standing walls, streets paved with flagstones, and the ruins of an entire city spread across 6.5 square kilometers (2.5 sq. mi). Sets of ritual bronzes are the most impressive surviving objects from theChinese Bronze Age. Being from around 1650 BCE, they were deposited asgrave goods in the tombs of royalty and the nobility, and were evidently produced in very large numbers, with documented excavations finding over 200 pieces in a single royal tomb. They were produced for an individual to use in ritual offerings of food and drink to his ancestors in family temples or ceremonial halls over tombs, or rather ritual banquets in which both living and dead members of a family participated; early literary records speak of these. On the death of the owner they would be placed in his tomb, so that he could continue to pay his respects in the afterlife; other examples were cast specifically as grave goods. The ritual bronzes were probably not used for normal eating and drinking; they represent larger, more elaborate versions of the types of vessels used for this, and made in precious materials. Apart from table vessels, weapons and some other objects were made in special ritual forms. Another class of ritual objects are those, also including weapons, made in jade, which was probably the most highly valued of all, and which had been long used for ritual tools and weapons, since about 4,500 BCE. Bronzes (simplified Chinese: 青铜器; traditional Chinese: 青銅器; pinyin:qīng tóng qì;Wade–Giles: ch’ing t’ong ch’i) are some of the most important pieces of ancientChinese art, warranting an entire separate catalogue in the Imperial art collections. The Chinese Bronze Age began in the Xia Dynasty (ca. 2070 – ca. 1600 BC), and bronze ritual containers form the bulk of collections of Chinese antiquities, reaching its zenith during the Shang Dynasty (1600–1046 BC) and the early part of the Zhou Dynasty (1045–256 BC). 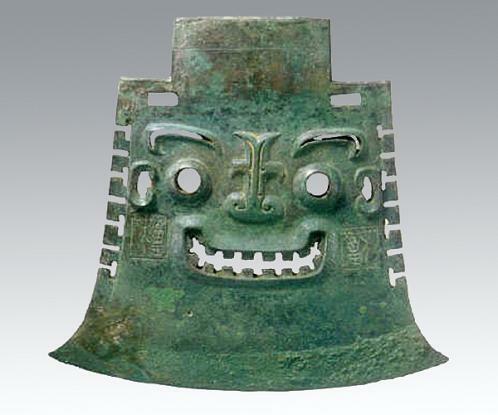 The majority of surviving Chinese ancient bronze artefacts are ritual forms rather than their equivalents made for practical use, either as tools or weapons. 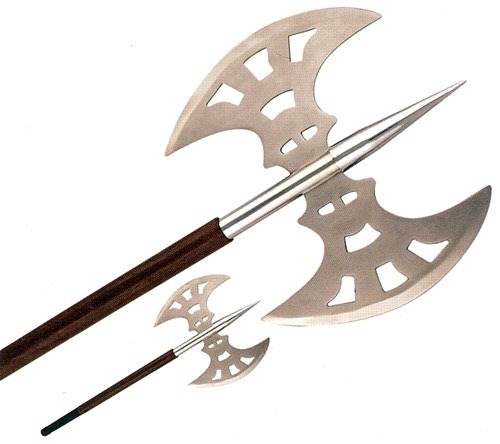 Weapons like daggers and axes had a sacrificial meaning, symbolizing the heavenly power of the ruler. The strong religious associations of bronze objects brought up a great number of vessel types and shapes which became regarded as classic and totemic and were copied, often in other media such as Chinese porcelain, throughout subsequent periods of Chinese art. The ritual books of old China minutely describe who was allowed to use what kinds of sacrificial vessels and how much. The king of Zhou used 9 dings and 8 gui vessels, a duke was allowed to use 7 dings and 6 guis, a baron could use 5 dings and 3 guis, a nobleman was allowed to use 3 dings and 2 guis. Turning to actual archaeological finds, the tomb of Fu Hao, an unusually powerful Shang queen, contained her set of ritual vessels, numbering over two hundred, which are also far larger than the twenty-four vessels in the tomb of a contemporary nobleman. Her higher status would have been clear not only to her contemporaries, but also, it was believed, to her ancestors and other spirits. Many of the pieces were cast with inscriptions using the posthumous form of her name, indicating there were made especially for burial in the tomb. The most highly prized are generally the sacrificial and wine vessels, which form the majority of most collections. Often these vessels are elaborately decorated withtaotie designs. Dǐng (鼎) Sacrificial vessel (祭器), originally a cauldron for cooking and storing meat (食器). The Shang prototype has a round bowl, wider than it is tall, set on three legs (足); there are two short handles on each side (耳). Later examples became larger and larger and were considered a measure of power. 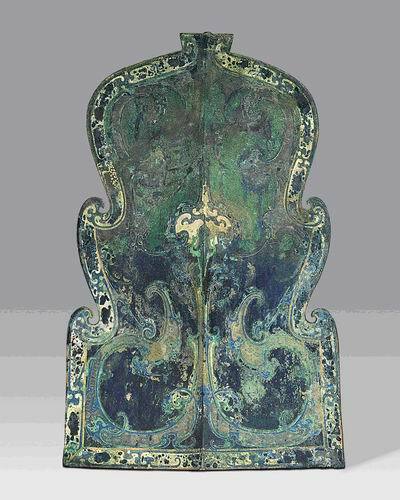 It is considered the single most important class of Chinese bronzeware in terms of its cultural importance. There is a variation called a fāngdǐng (方鼎) which has a square bowl and four legs at each corner. There exist rare forms with lids. 西清古鑒 contains over two hundred examples, and this is the most highly regarded of all Chinese bronzes. Dòu (豆): Sacrificial vessel (祭器) that was originally a food vessel. Flat, covered bowl on a long stem. Fǔ (簠): Rectangular dish, triangular in vertical cross-section. Always with a lid shaped like the dish. Zūn (尊 or 樽 or 鐏): Wine vessel and sacrificial vessel (器為盛酒亦祭用也). Tall cylindrical wine cup, with no handles or legs. The mouth is usually slightly broader than the body. In the late Zhōu (周) dynasty, this type of vessel became exceedingly elaborate, often taking the shape of animals and abandoning the traditional shape. These later types are distinguished from gōng (觥) by retaining a small, roughly circular mouth. This type of vessel forms the second largest group of objects in the Xiqing gujian, after the dǐng (鼎). Zǔ (俎): Flat rectangular platform with square legs at each corner. Not represented in the Xiqing gujian. Yí (彝): Sacrificial vessel. Two forms: A. Large squat round pot with two handles; B. Tall box-like container, the base narrower than the mouth with a roof-like lid. Later became a generic name for all sacrificial vessels. Gōng (觥, not pronounced guāng): Wine vessel often elongated and carved in the shape of an animal. There is always a cover and the mouth of the vessel usually covers the length of the vessel. This is not a classification used in theXiqing gujian; objects of this type are classed under 匜.
Gū (觚): Tall wine cup with no handles, the mouth larger than its base. Guǐ (簋): A bowl with two handles. Hé (盉): A wine vessel shaped like a tea pot with three legs. It has a handle (pàn 鋬) and a straight spout that points diagonally upwards. Jiǎ (斝): A cauldron for warming wine. Like a dǐng (鼎) except the body is taller than it is broad, and it may have two sticks (柱) sticking straight up from the brim, acting as handles. Jué (角, not pronounced jiǎo): A wine cup similar to a 爵, except the spout and brim extension are identical and there is a cover. Jué (爵): A wine cup with three legs, a spout (流) with a pointed brim extension (尾) diametrically opposite, plus a handle (鋬). Léi (罍): Vessel for wine with a round body, a neck, a cover and a handle on either side of the mouth. Lì (鬲): Cauldron with three legs. Similar to a dǐng (鼎) except the legs blend into the body or have large swellings on top. Zhī (卮/巵/梔): Wine vessel, and also a measuring container. Like a píng (瓶), except shorter and broader. Zhōng (鍾): A wine vessel with no handles. Zun (尊/樽/鐏): Wine vessel and sacrificial vessel (器為盛酒亦祭用也). Tall cylindrical wine cup, with no handles or legs. The mouth is usually slightly broader than the body. In the late Zhou Dynasty, this type of vessel became exceedingly elaborate, often taking the shape of animals and abandoning the traditional shape. These later types are distinguished from gōng (觥) by retaining a small, roughly circular mouth. This type of vessel forms the second largest group of objects in the Xiqing gujian, after the dǐng (鼎). Dui vessel with geometric cloud pattern, Warring States period, Hubei Provincial Museum. Covered Food Container (dou), 6th Century B.C. The Walters Art Museum. Duì (敦, not pronounced dūn): Spherical dish with a cover and three short legs. Pán (盤): Round curved dish for food. May have zero, three, or four short legs. Yǎn (甗): A pot for steaming. Three parts: 鬲, 甑, 箄 q.v. Yǒu (卣): Covered pot with a single looping handle attached on opposite sides of the mouth of the vessel. Zèng (甑): A rice pot; referred to as a 腹 fu4 in Xiqing gujian. Has no separate category in 西清古鑑: see yǎn (甗). Dǒu 斗: Scoop. Tall bowl with a long handle. Móu (鍪): A vase with two handles. Vessels of this type are classed as hú (壺) in the Xiqing gujian. Píng (瓶): Tall vase with a long slender neck opening up to a narrow mouth. Pǒu (瓿, pronounced bù in China): A small bronze wèng (甕). Wèng (瓮 or 甕): Round mouthed, round bellied jar with no foot for holding water or wine. Now commonly used to hold ashes. Yàndī (硯滴): Water container for an ink stone; often in the shape of an animal with a long thin dropper to control the amount of water dispensed. Yí (匜): A bowl or ewer with a spout; May be elaborately shaped like an animal. Yú (盂): Basin for water. May have up to four decorative handles around the edge; no brim. Zhì (觶): Broad-mouthed vase, similar in shape to a hú (壺), but with no handles. Zhōng (盅): Small cup with no handles. Not represented in Xiqing gujian. Bó (鈸): Cymbals. Not represented in the Xiqing gujian. See náo (鐃). Líng (鈴): A small bell (as might be hung from ribbons). This item is not represented in Xiqing gujian. Náo (鐃): Cymbals. Not represented in Xiqing gujian. See also bó (鈸). Zhōng (鐘): A large bell, as might stand in a tower. Duì (鐓, not pronounced dūn): Bronze decoration for the end of a spear or halberd handle; often with an animal motif. Jiàn (劍): A sword. There are only three examples in Xiqing gujian. Nǔjī (弩機): Crossbow mechanism. There are only two examples in the Xiqing gujian. Pī (鈹): A type of sword. Zú (鏃): An arrow head. Zhī (卮 or 巵 or 梔): A wine vessel and also a measuring container. Like a píng (瓶), except shorter and broader. Fúyìnqián (符印錢): Taoist amulet minted in the shape of a yuán (圓), usually with an incantation on the obverse and picture on the reverse. Qián (錢): Ancient money (錢幣). Well represented in 西清古鑑; occurs in three types: 布, 刀, 圓(元) q.v. Yuán (圓): Also called yuánbì (圓幣), yuánbǎo (元寶), or yuánqián (元錢). Circular coins with a hole in the middle, usually made of copper or bronze; what most Westerners think of as ‘Chinese money’. Also see fúyìnqián (符印錢). Biǎozuò (表座) Cylindrical container with added animal motif. There are only three examples in the Xiqing gujian. Jiàn (鑑 or 鑒): Refers to two different objects: either a tall, broad bronze dish for water, or a circular bronze mirror, usually with intricate ornamentation on the back. The modern meaning is a mirror. Jué (钁): Farming implement shaped like a pickaxe, but used as a hoe. 西清古鑑 contains only two examples; the rubric states: 按說文大鉏也又博雅斫謂之钁 “According to the Shouwen [an ancient Chinese dictionary] it is a large hoe, that is called a jué by the learned.” Only the bronze heads of the two examples survive, because the wooden handles have long rotted away. Lú (鑪): A brazier. These are a nebulously classified group of bronze vessels and there are a number of forms: A. It may similar to a dǐng (鼎) with very short legs sitting on a pán (盤); or B., a duì (敦) on a pán (盤); or C., like a dòu (豆) on a pán(盤). Shūzhèn (書鎮): Paper weight. Usually solid bronze, moulded in the shape of a reclining or crouching animal (three recorded in Xiqing gujian). The ancient China civilization has seen a variety of martial arts and battle techniques. The ancient Chinese army won many famous battles and was a very successful force in the Asian continent. And weapon of course played an important role in it. These ancient weapons were masterpieces of engineering and helped Chinese army succeed much easier. Below is a list of top 10 ancient Chinese weapons. If you feel like any important weapon is excluded in the list, please let me know in the comment section. The bow is called “Gong” in Chinese language and it enjoyed a long history in ancient China. 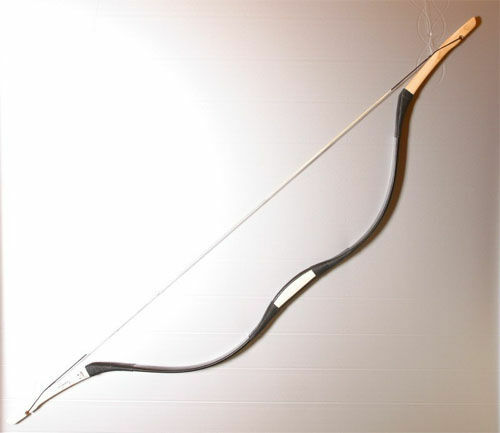 According to archaeological materials, the use of bow by ancient Chinese went as early as 2800 years ago. the archers had always been an important branch of the imperial army until the late 19th century. In ancient China archery has always been an essential subject of the military exam for official selection. 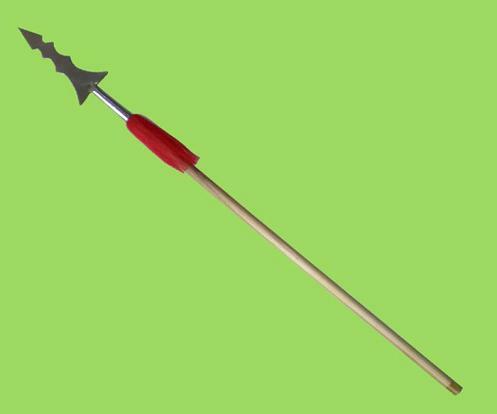 Qiang, a type of spear, was an important weapon in ancient China. 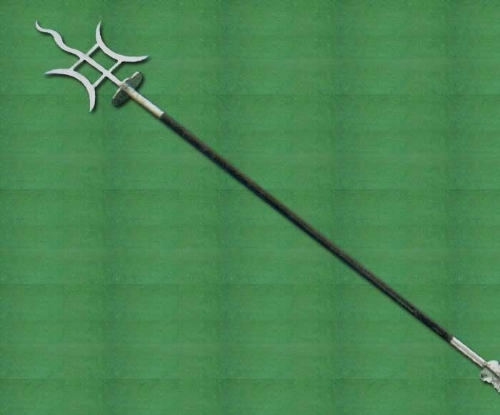 The common Qiang could was a kind of spear with a long staff and a steel mounted tip. The Qiang was used in battles for long distance combat including throwing these spears, even after fire weapons were introduced by the Qin Dynasty. #3. Jian 剑 The Jian, a double-edged straight sword, was regarded as the king of all weapons in ancient China. 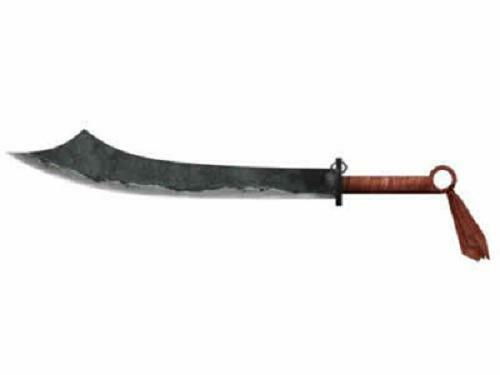 The double bladed Jian was a harder weapon to control than a single-blade Saber, so in ancient China Jian usually was owned and used by the educated class or skilled warrior. The Dun (made of metal or wood or bamboo) is Chinese name for shield. It is a big board held in the hand to protect against the attacking of other weapons such as arrow and spear. It was usually used along with a dagger-axe or saber. Yue is an axe-shaped arms used in China about 3,000 years ago. It has a threatening expanded blade and is usually decorated with a magical animal in Chinese myth. Yue was created especially for against heavy-armor enemy. 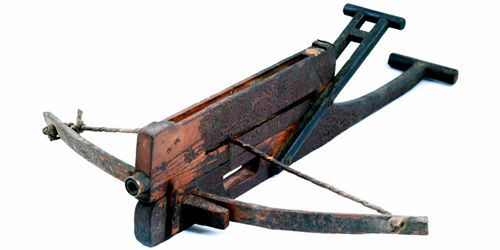 The Nu was a semi-automatic crossbow invented by Chinese about 2,400 years ago. It comprises a feeder on top and a lever near the end for repeating action. Skilled crossbowman could launch 10 bolts in 15 seconds before before exhausting the magazine. The Dao was one of the most commonly used arms in ancient China. 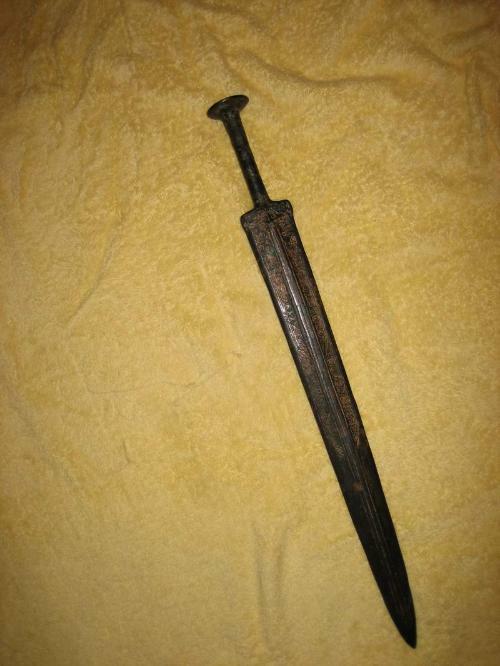 Dao can be described as a single-edged Chinese sword with wood wrapped handle. In Ancient China the Dao was used mainly for hand to hand combat especially for the cavalry on horseback. Though just a simple staff, the Gun was one of the Four Major Weapons in ancient China. It was usually made from bamboo and mainly used for self-defense. The Gun was rarely used by the Chinese army, and its most common usage is to train new recruits. The army favored bladed weapons as they were more durable and sharper. The Fu, Chinese name for the axe, was usually held by imperial guards, rather than common soldiers. The Fu was characterized by large blade that was often carved with a image of a powerful animal. Fu is similar to another Chinese weapon Yue, but is much smaller and lighter and has more practical applications. 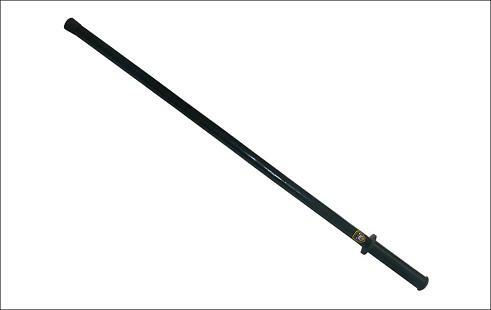 Ji is is a two-handed pole weapon used as a military weapon in China as early as the Shang dynasty (1600 BC – 1046 BC). It comprises a long handle with a curved blade attached to the top and a sharp metal tip. Ji is a very diverse and useful instrument, it can be used to slash with the side blade or stab with the tip. Chinese architecture refers to a style of architecture that has taken shape inEast Asia over many centuries. The structural principles of Chinesearchitecture have remained largely unchanged, the main changes being only the decorative details. Since the Tang Dynasty, Chinese architecture has had a major influence on the architectural styles of Korea, Vietnam, and Japan. The architecture of China is as old as Chinese civilization. From every source of information—literary, graphic, exemplary—there is strong evidence testifying to the fact that the Chinese have always enjoyed an indigenous system of construction that has retained its principal characteristics from prehistoric times to the present day. Over the vast area from Chinese Turkistan to Japan, from Manchuria to the northern half of French Indochina, the same system of construction is prevalent; and this was the area of Chinese cultural influence. That this system of construction could perpetuate itself for more than four thousand years over such a vast territory and still remain a living architecture, retaining its principal characteristics in spite of repeated foreign invasions—military, intellectual, and spiritual—is a phenomenon comparable only to the continuity of the civilization of which it is an integral part. Throughout the 20th Century, Western-trained Chinese architects have attempted to combine traditional Chinese designs into modern architecture (usually government), with only limited success. Moreover, the pressure for urban development throughout contemporary China required higher speed of construction and higher floor area ratio, which means that in the great cities the demand for traditional Chinese buildings, which are normally less than 3 levels, has declined in favor of modern architecture. However, the traditional skills of Chinese architecture, including major and minor carpentry, masonry, andstonemasonry, are still applied to the construction of vernacular architecture in the vast rural area in China. A sancai (tri-colored) ceramic mansion from the Tang Dynasty(618-907), excavated from a Tang era tomb at Zhongbu village in the western suburbs of Xi’an. The rectangular compound shown above has two sections of courtyards. The buildings on the axle line include central entrance, four-pointed pavilion, mountain-shaped front hall, artificial mountain and ponds, eight-pointed pavilion and mountain-shaped retiring quarters. The two sides of the central axle are arranged with corridor rooms symmetrically. A skywell in a Fujian temple with enclosing halls and bays on four sides. An important feature in Chinese architecture is its emphasis on articulation and bilateral symmetry, which signifies balance. Bilateral symmetry and the articulation of buildings are found everywhere in Chinese architecture, from palace complexes to humble farmhouses. When possible, plans for renovation and extension of a house will often try to maintain this symmetry provided that there is enough capital to do so.Secondary elements are positioned either side of main structures as two wings to maintain overall bilateral symmetry. The buildings are typically planned to contain an even number of columns in a structure to produce an odd number of bays (間). With the inclusion of a main door to a building in the center bay, symmetry is maintained. A mid-20th century colonial style Taiwanese building containing a skywell. In contrast to the buildings, Chinese gardens are a notable exception which tend to be asymmetrical. The principle underlying the garden’s composition is to create enduring flow. A tulou outer building encloses a smaller circular building, which encloses an ancestral hall and courtyard in the center. Courtyard (院): The use of open courtyards is a common feature in many types of Chinese architectures. This is best exemplified in the Siheyuan, which consists of an empty space surrounded by buildings connected with one another either directly or through verandas. “Sky well” (天井): Although large open courtyards are less commonly found in southern Chinese architecture, the concept of an “open space” surrounded by buildings, which is seen in northern courtyard complexes, can be seen in the southern building structure known as the “sky well”. This structure is essentially a relatively enclosed courtyard formed from the intersections of closely spaced buildings and offer small opening to the sky through the roof space from the floor up. These enclosures serve in temperature regulation and in venting the building complexes. Northern courtyards are typically open and facing the south to allow the maximum exposure of the building windows and walls to the sun while keeping the cold northern winds out. Southern sky wells are relatively small and serves to collect rain water from the roof tops. They perform the same duties as theRomanimpluvium while restricting the amount of sunlight that enters the building. Sky wells also serve as vents for rising hot air, which draws cool air from the lower stories of the house and allows for exchange of cool air with the outside. The projected hierarchy and importance and uses of buildings in traditional Chinese architecture are based on the strict placement of buildings in a property/complex. Buildings with doors facing the front of the property are considered more important than those facing the sides. Buildings facing away from the front of the property are the least important. South-facing buildings in the rear and more private location of the property with higher exposure to sunlight are held in higher esteem and reserved for elder members of the family or ancestral plaques. Buildings facing east and west are generally for junior members of the family, while buildings near the front are typically for servants and hired help.Front-facing buildings in the back of properties are used particularly for rooms of celebratory rites and for the placement of ancestral halls and plaques. In multiple courtyard complexes, central courtyards and their buildings are considered more important than peripheral ones, the latter typically being used as storage or servants’ rooms or kitchens. Classical Chinese buildings, especially those of the wealthy, are built with an emphasis on breadth and less on height, featuring an enclosed heavy platform and a large roof that floats over this base, with the vertical walls not well emphasized. This contrasts Western architecture, which tends to grow in height and depth. Chinese architecture stresses the visual impact of the width of the buildings. The halls and palaces in the Forbidden City, for example, have rather low ceilings when compared to equivalent stately buildings in the West, but their external appearances suggest the all-embracing nature of imperial China. These ideas have found their way into modern Western architecture, for example through the work ofJørn Utzon.This of course does not apply to pagodas, which are limited to religious building complexes. The Forbidden City, viewed from Jingshan Hill to the north, showing the emphasized horizontal spread of the buildings in the complex. Model of a Chinese Siheyuan in Beijing, which shows off the symmetry, enclosed heavy platform and a large roof that floats over this base, with the vertical walls not as well emphasized. Screen walls to face the main entrance of the house, which stems from the belief that evil things travel in straight lines. Animals and fruits that symbolize good fortune and prosperity, such as batsandpomegranates, respectively. The association is often done throughrebuses. Orienting the structure with its back to elevated landscape and ensuring that there is water in the front. Considerations are also made such that the generally windowless back of the structure faces the north, where the wind is coldest in the winter. Ponds, pools, wells, and other water sources are usually built into the structure. The use of certain colors, numbers and the cardinal directions in traditional Chinese architecture reflected the belief in a type of immanence, where the nature of a thing could be wholly contained in its own form. Although the Western tradition gradually developed a body of architectural literature, little was written on the subject in China, and the earliest text, theKaogongji, was never disputed. However, ideas about cosmic harmony and the order of the city were usually interpreted at their most basic level, so a reproduction of the “ideal” city never existed. Beijing as reconstructed throughout the 15th and 16th century remains one of the best examples of traditional Chinese town planning. Models of watchtowers and other buildings made during theEastern Han Dynasty(AD 25–220); while these models were made of ceramics, the real versions were made of easily perishable wood and have not survived. Unlike other building construction materials, old wooden structures often do not survive because they are more vulnerable to weathering and fires and are naturally subjected to rotting over time. Although now-nonexistent wooden residential towers, watchtowers, and pagodas predated it by centuries, the Songyue Pagodabuilt in 523 is the oldest extant pagoda in China; its use of brick instead of wood had much to do with its endurance throughout the centuries. From the Tang Dynasty(618–907) onwards, brick and stone architecture gradually became more common and replaced wooden edifices. The earliest examples of this transition can be seen in building projects such as theZhaozhou Bridge completed in 605 or the Xumi Pagodabuilt in 636, yet stone and brick architecture is known to have been used in subterranean tomb architecture of earlier dynasties. A stone-carved pillar-gate, orque (闕), 6 m (20 ft) in total height, located at the tomb of Gao Yi in Ya’an, Sichuan province, Eastern Han Dynasty (25-220 AD); notice the stone-carved decorations of rooftile eaves, despite the fact that Han Dynasty stoneque (part of the walled structures around tomb entrances) lacked wooden or ceramic components (but often imitated wooden buildings with ceramic roof tiles). In the early 20th century there were no known fully wood-constructed Tang Dynasty buildings that still existed; the oldest so far discovered was the 1931 find of Guanyin Pavilion at Dule Monastery, dated 984 during the Song. This was until the architectural historians Liang Sicheng (1901–1972), Lin Huiyin (1904–1955), Mo Zongjiang (1916–1999), and (1902–c. 1960s) discovered that the Great East Hall ofFoguang Temple on Mount Wutai in Shanxi was reliably dated to the year 857 in June 1937. The groundfloor dimensions for this monastic hall measures 34 by 17.66 m (111.5 by 57.9 ft). A year after the discovery at Foguang, the main hall of nearbyNanchan Temple on Mount Wutai was reliably dated to the year 782, while a total of six Tang era wooden buildings have been found by the 21st century.The oldest existent fully wooden pagoda that has survived intact is the Pagoda of Fogong Templeof the Liao Dynasty, located in Ying County of Shanxi. While the East Hall of Foguang Temple features only seven types of bracket arms in its construction, the 11th century Pagoda of Fogong Temple features a total of fifty-four. The earliest walls and platforms in China were of rammed earth construction, and over time brick and stone became more frequently used. This can be seen in ancient sections of the Great Wall of China, while the brick and stone Great Wall seen today is a renovation of the Ming Dynasty (1368–1644). Mortise and tenon work of tie beams and cross beams, from Li Jie’s building manualYingzao Fashi, printed in 1103. Foundations: Most buildings are typically erected on raised platforms (臺基) as their foundations. Vertical structural beams may rest on raised stone pedestals (柱础) which occasionally rest on piles. In lower class construction, the platforms are constructed of rammed earth platforms that are unpaved or paved with brick or ceramics. In the simplest cases vertical structural beams are driven into the ground directly. Upper class constructions typically have high raised stone paved rammed earth or stone foundations with ornately carved heavy stone pedestals for supporting large vertical structural beams. The vertical beams rest and remain on their pedestals solely by friction and the pressure exerted by the building structure. Structural beams: Use of large structural timbers for primary support of the roof of a building. Wooden timber, usually large trimmed logs, are used as load-bearing columns and lateral beams for framing buildings and supporting the roofs. These beams are connected to each other directly or, in larger and higher class structures, tied indirectly together through the use of brackets. These structural timbers are prominently displayed in finished structures. It is not definitively known how the ancient builders raised the huge wooden load bearing columns into position. Structural connections: Timber frames are typically constructed with joinery and doweling alone, seldom with the use of glue or nails. These types of semi-rigid structural joints allow the timber structure to resist bending and torsion while under high compression.Structural stability is further ensured through the use of heavy beams and roofs, which weighs the structure down. The lack of glue or nails in joinery, the use of non-rigid support such as dougong, and the used of wood as structural members allow the buildings to slide, flex, and hinge while absorbing shock, vibration, and groundshift from earthquakes without significant damage to its structure. Walls: The common use of curtain walls or door panels to delineate rooms or enclose a building, with the general de-emphasis of load-bearing walls in most higher class construction. However, with the reduction in availability of trees in the later dynasties for building structures, the use of load-bearing walls in non-governmental or religious construction increased, with brick and stone being commonly used. Straight inclined: Roofs with a single incline. These are the most economical type of roofing and are most prevalent in commoner architectures. Multi-inclined: Roofs with 2 or more sections of incline. These roofs are used in higher class constructions, from the dwellings of wealthy commoners to palaces. Sweeping: Roofs with a sweeping curvature that rises at the corners of the roof. This type of roof construction is usually reserved for temples and palaces although it may also be found in the homes of the wealthy. In the former cases, the ridges of the roof are usually highly decorated with ceramic figurines. Roof apex: The roof apex of a large hall is usually topped with a ridge of tiles and statues for both decorative purposes as well as to weigh down the layers of roofing tiles for stability. These ridges are often well decorated, especially for religious or palatial structures. In some regions of China, the ridges are sometimes extended or incorporated into the walls of the building to form matouqiang (horse-head walls), which serve as a fire deterrent from drifting embers. Roof top decorations: Symbolism can be found from colors of the eaves, roofing materials and roof top decorations. Gold/yellow is an auspicious (good) color, imperial roofs are gold or yellow. They are usually used by the emperor. Green roofs symbolize bamboo shafts, which, in turn, represent youth and longevity. The Zhaozhou Bridge, built from 595–605 during the Sui Dynasty. It is the oldest fully stone open-spandrel segmental arch bridge in the world. 斗拱(Chinese: 斗拱; pinyin: Dǒugǒng) dougong interlocking wooden brackets, often used in clusters to support roofs and add ornamentation. The houses of commoners, be they bureaucrats, merchants or farmers, tended to follow a set pattern: the center of the building would be a shrine for the deities and the ancestors, which would also be used during festivities. On its two sides were bedrooms for the elders; the two wings of the building (known as “guardian dragons” by the Chinese) were for the junior members of the family, as well as the living room, the dining room, and the kitchen, although sometimes the living room could be very close to the center. Sometimes the extended families became so large that one or even two extra pairs of “wings” had to be built. This resulted in a U-shaped building, with a courtyard suitable for farm work. Merchants and bureaucrats, however, preferred to close off the front with an imposing front gate. All buildings were legally regulated, and the law held that the number of stories, the length of the building and the colours used depended on the owner’s class. Some commoners living in areas plagued by bandits built communal fortresses called Tulou for protection. There were certain architectural features that were reserved solely for buildings built for the Emperor of China. One example is the use of yellow roof tiles, yellow having been the Imperial color; yellow roof tiles still adorn most of the buildings within the Forbidden City. The Temple of Heaven, however, uses blue roof tiles to symbolize the sky. The roofs are almost invariably supported by brackets(“dougong“), a feature shared only with the largest of religious buildings. The wooden columns of the buildings, as well as the surfaces of the walls, tend to be red in color. Black is also a famous color often used in pagodas. It was believed that the gods are inspired by the black color to descend to the earth. The Chinese 5-clawed dragon, adopted by the first Ming emperor for his personal use, was used as decoration on the beams, pillars, and on the doors on Imperial architecture. Curiously, the dragon was never used on roofs of imperial buildings. Only the buildings used by the imperial family were allowed to have nine jian (間, space between two columns); only the gates used by the Emperor could have five arches, with the centre one, of course, being reserved for the Emperor himself. The ancient Chinese favored the color red. The buildings faced south because the north had a cold wind. Beijing became the capital of China after the Mongol invasion of the 13th century, completing the easterly migration of the Chinese capital begun since the Jindynasty. The Ming uprising in 1368 reasserted Chinese authority and fixed Beijing as the seat of imperial power for the next five centuries. The Emperor and the Empress lived in palaces on the central axis of the Forbidden City, the Crown Prince at the eastern side, and the concubines at the back (therefore the numerous imperial concubines were often referred to as “The Back Palace Three Thousand”). However, during the mid-Qing Dynasty, the Emperor’s residence was moved to the western side of the complex. It is misleading to speak of an axis in the Western sense of a visual perspective ordering facades, rather the Chinese axis is a line of privilege, usually built upon, regulating access—there are no vistas, but a series of gates and pavilions. Numerology heavily influenced Imperial Architecture, hence the use of nine in much of construction (nine being the greatest single digit number) and the reason why the Forbidden City in Beijing is said to have 9,999.9 rooms—just short of the mythical 10,000 rooms in heaven. The importance of the East (the direction of the rising sun) in orienting and siting Imperial buildings is a form of solar worship found in many ancient cultures, where there is the notion of Ruler being affiliated with the Sun. The tombs and mausoleums of imperial family members, such as the 8th centuryTang Dynasty tombs at the Qianling Mausoleum, can also be counted as part of the imperial tradition in architecture. These above-ground earthen mounds and pyramids had subterranean shaft-and-vault structures that were lined with brick walls since at least the Warring States (481–221 BC). Generally speaking, Buddhist architecture follows the imperial style. A large Buddhist monastery normally has a front hall, housing the statue of a Bodhisattva, followed by a great hall, housing the statues of the Buddhas. Accommodations for the monks and the nuns are located at the two sides. Some of the greatest examples of this come from the 18th centuryPuning Temple and Putuo Zongcheng Temple. Buddhist monasteries sometimes also have pagodas, which may house the relics of the Gautama Buddha; older pagodas tend to be four-sided, while later pagodas usually have eight sides. Daoist architecture, on the other hand, usually follows the commoners’ style. The main entrance is, however, usually at the side, out of superstition about demonswhich might try to enter the premise (see feng shui.) In contrast to the Buddhists, in a Daoist temple the main deity is located in the main hall at the front, the lesser deities in the back hall and at the sides. A Chinese pavilion instead of a minaret at the Great Mosque of Xi’an.